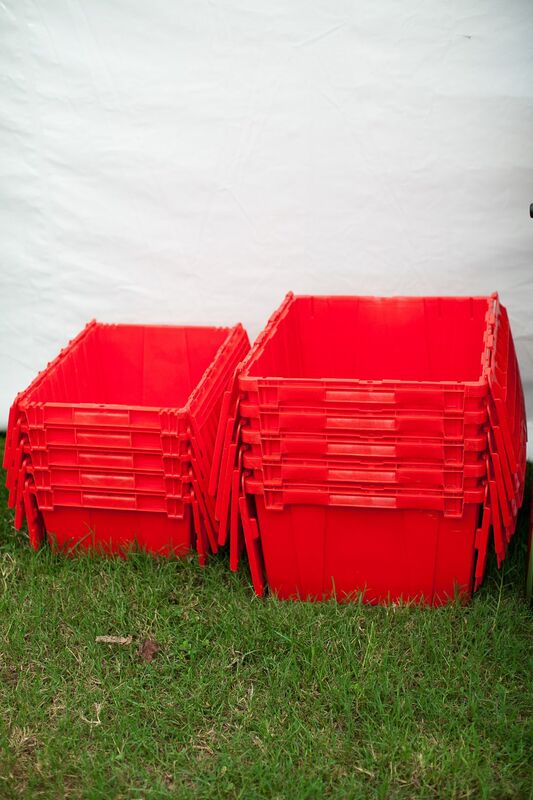 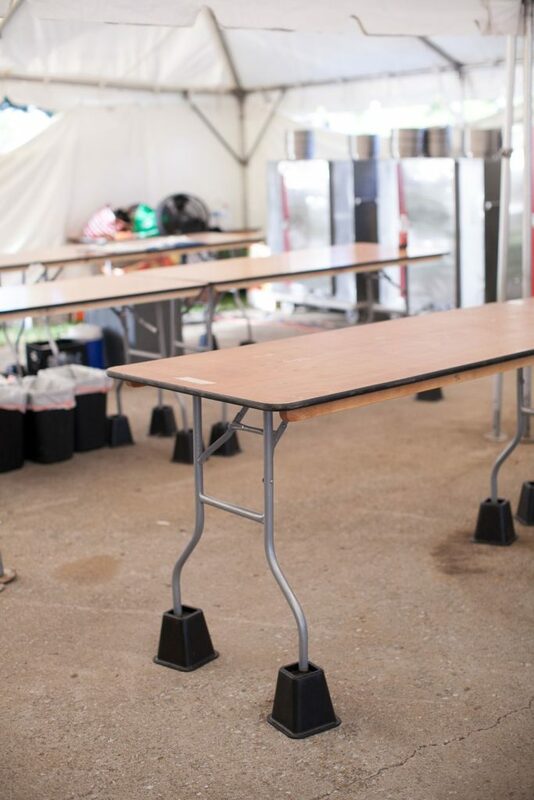 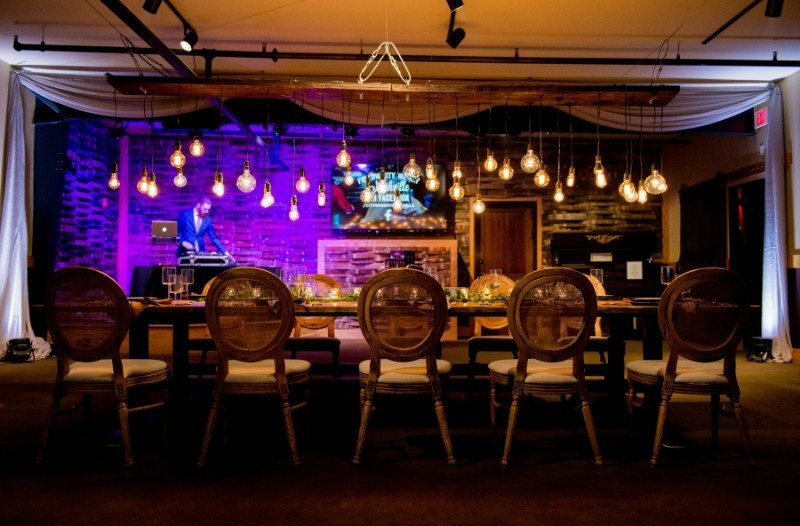 Corporate events can have a lot of moving parts: from planning stages to execution, there are several different factors to consider. 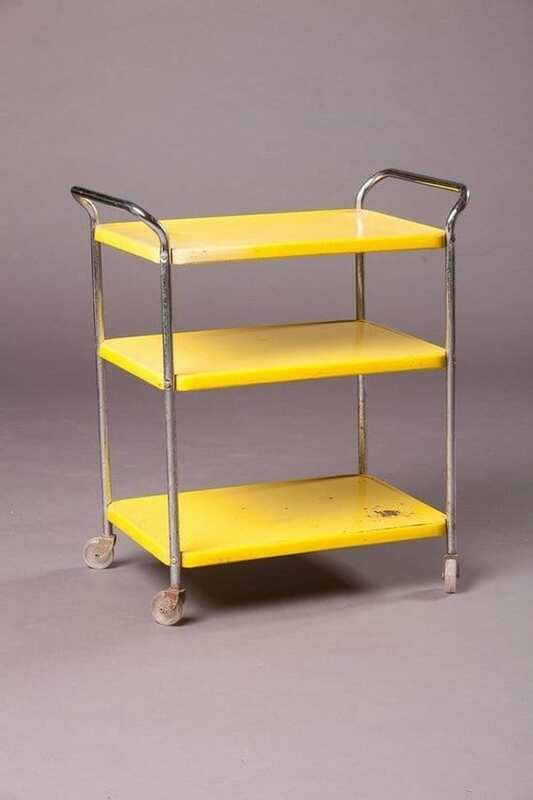 One that’s easy? 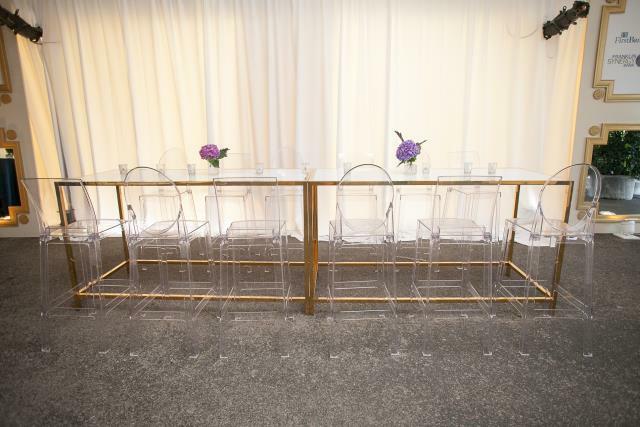 Your event rentals. 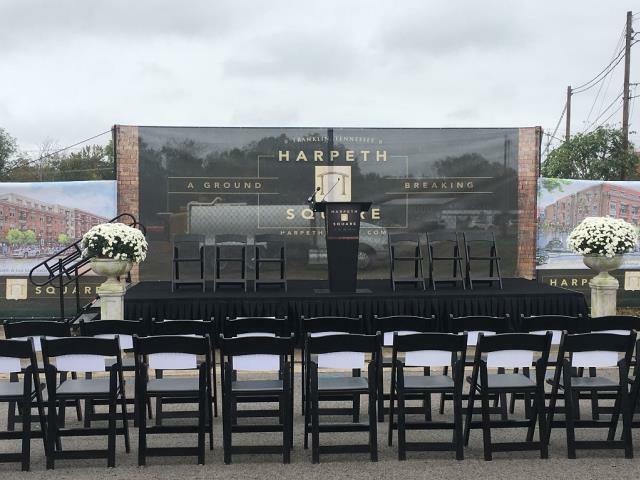 Southern specializes in distinct rentals in the Nashville, Franklin, and Middle Tennessee areas so your store’s grand opening or ribbon cutting ceremony goes off without a hitch. 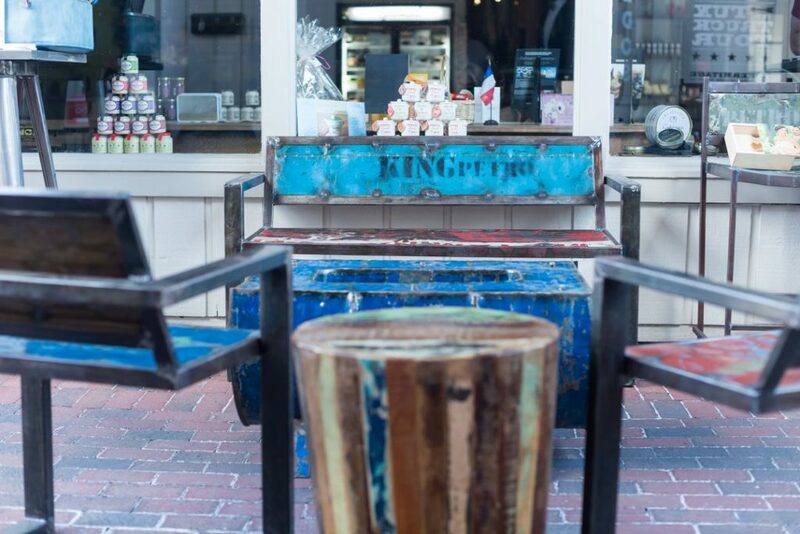 Big on branding? 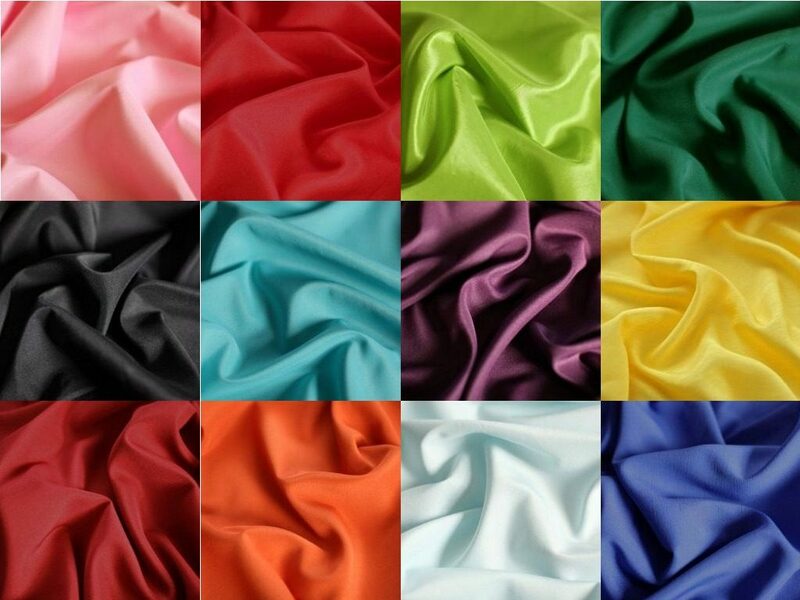 Southern’s massive linen selection has an extensive inventory of colors! 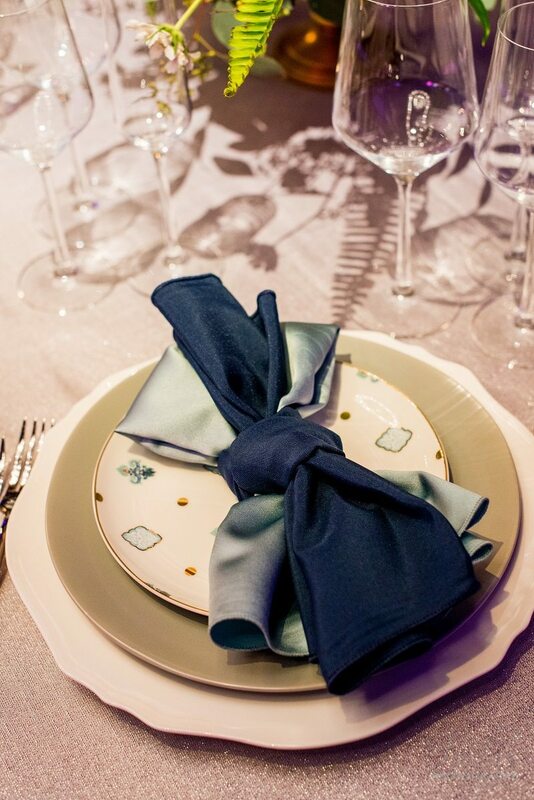 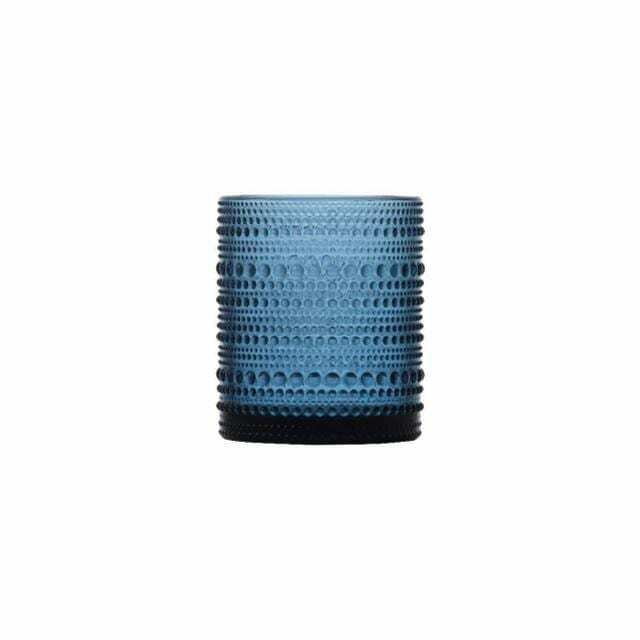 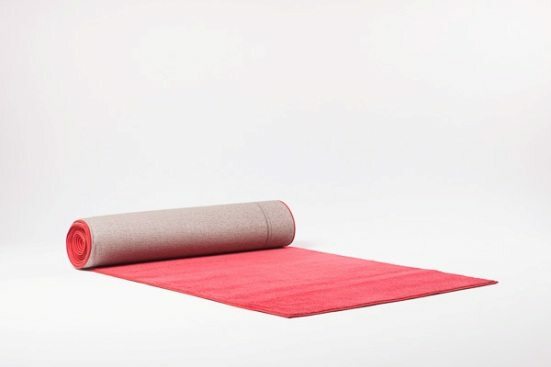 With various hues and shades, we are certain there’s a linen to match your company’s logo or chosen event palette. 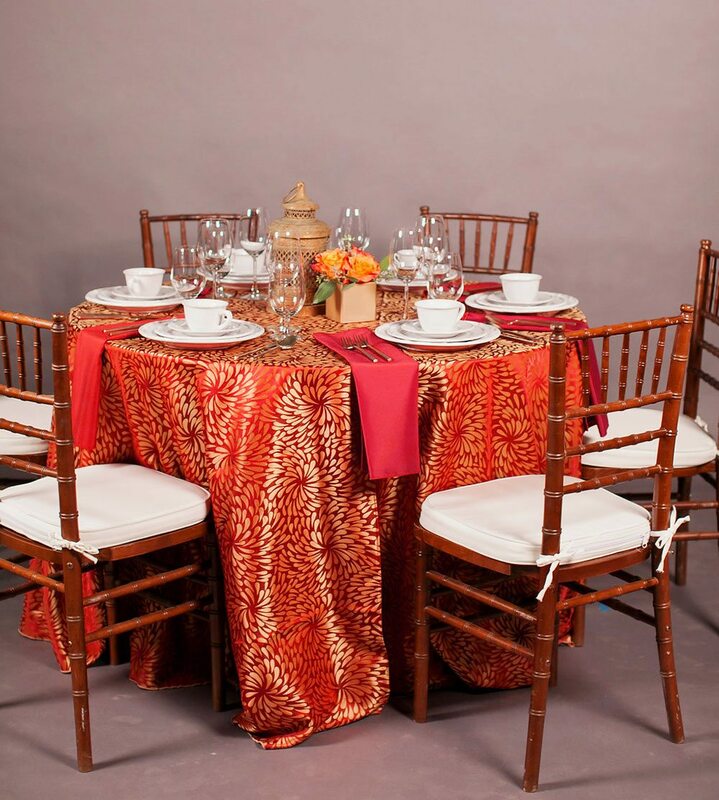 Not only do we have a wide variety of solid colored linens, but we can create any style of Custom Printed Linens as well. 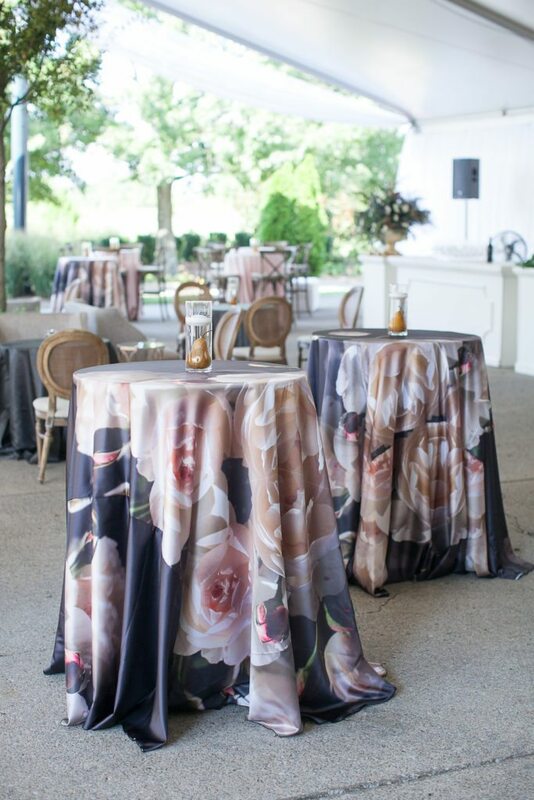 Our the design of our Cecelia Matte Satin was transferred from this event’s invitation and we can do the same to match your company’s branding or theme of your corporate event. 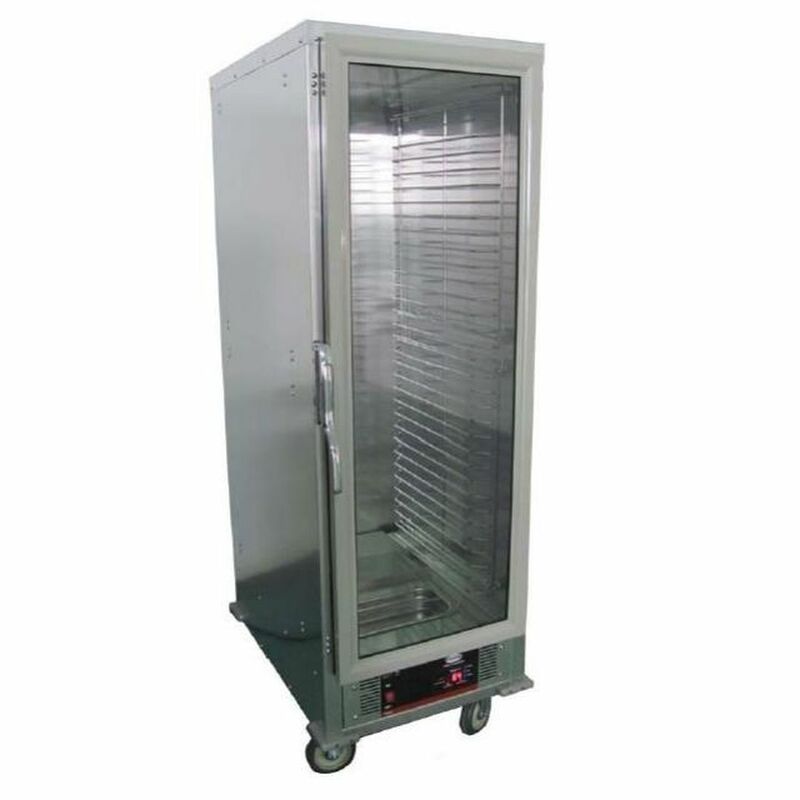 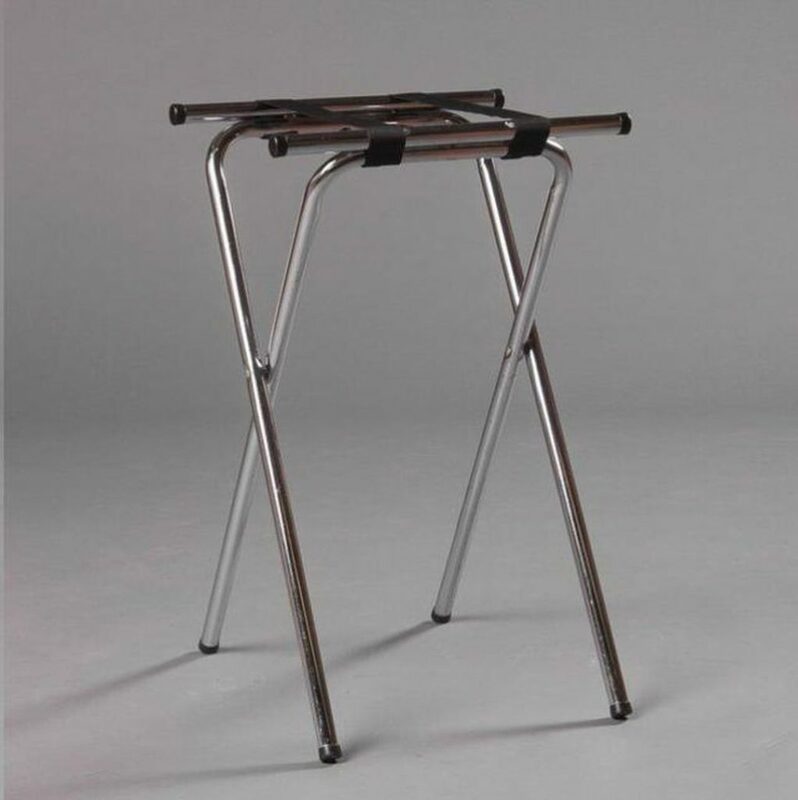 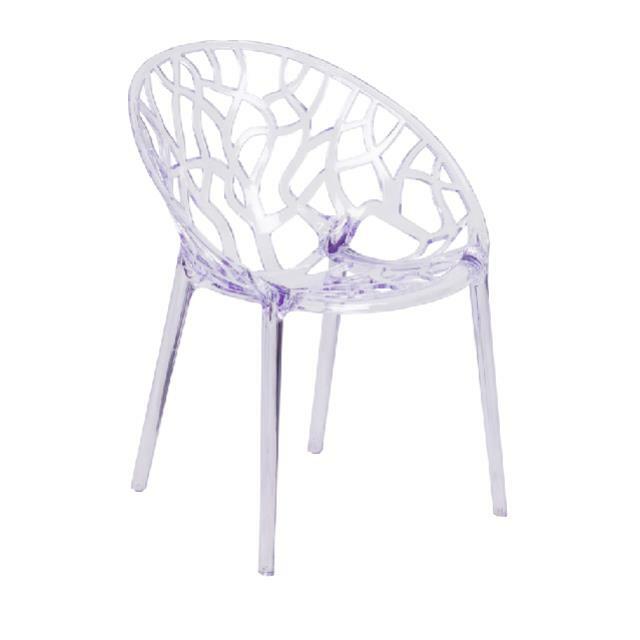 Need somewhere to make a statement? 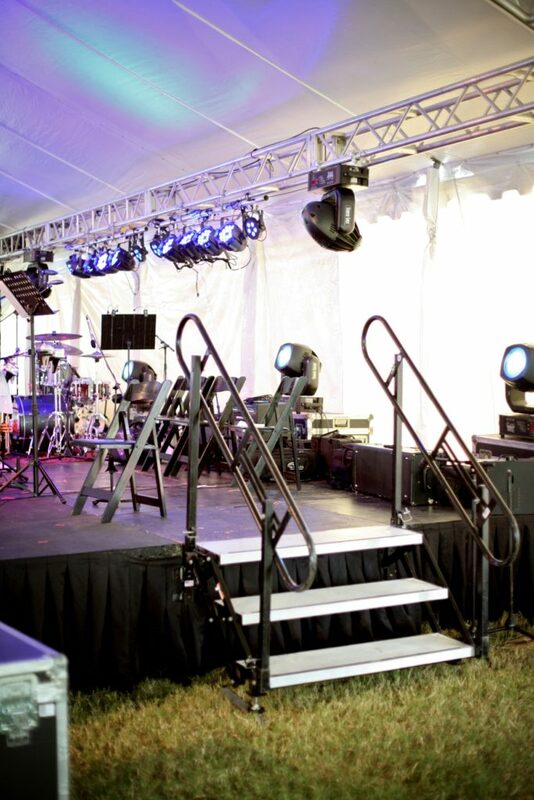 Staging is necessary for grand gpenings where speeches or awards might be taking place. 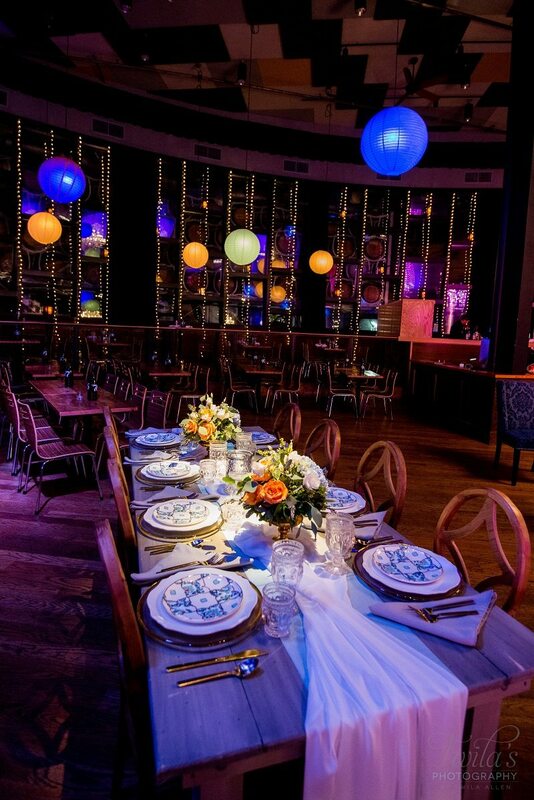 Don’t let your big moment get lost – with a proper stage, your guests will know where to focus when the time comes. 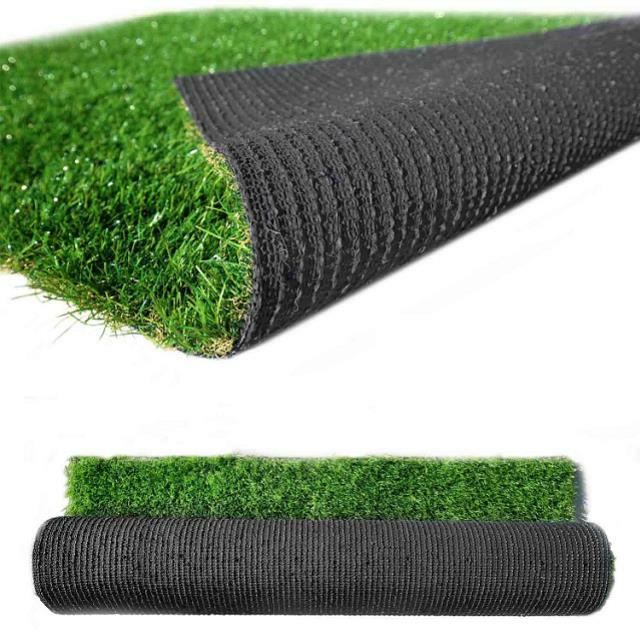 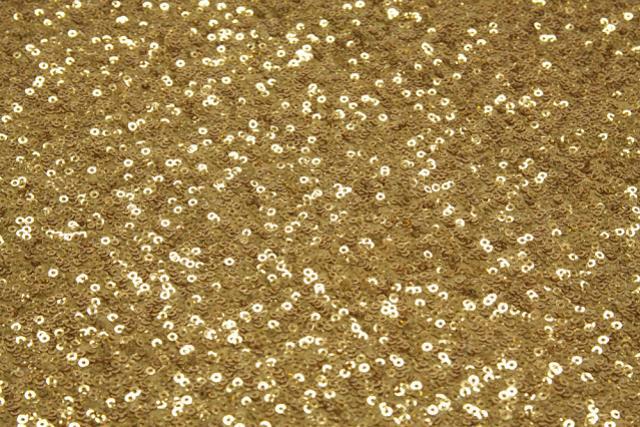 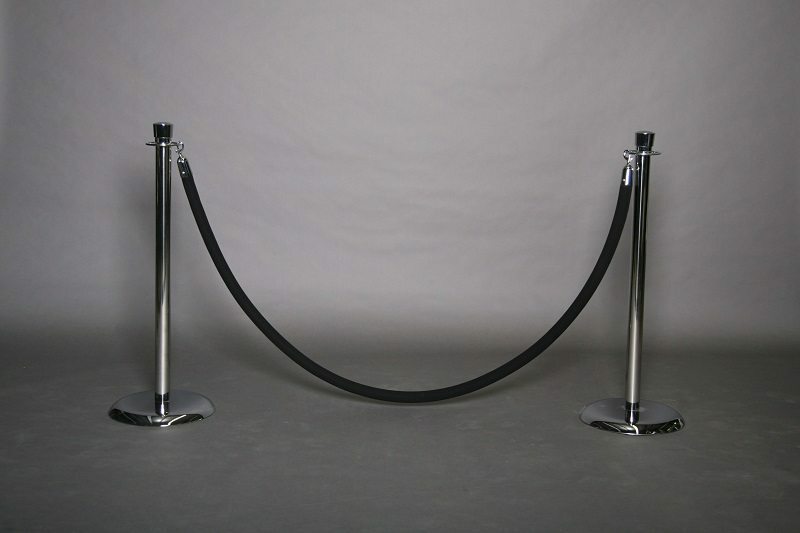 Give your guests the celebrity treatment with a Red Carpet walkway and Chrome Stanchions. 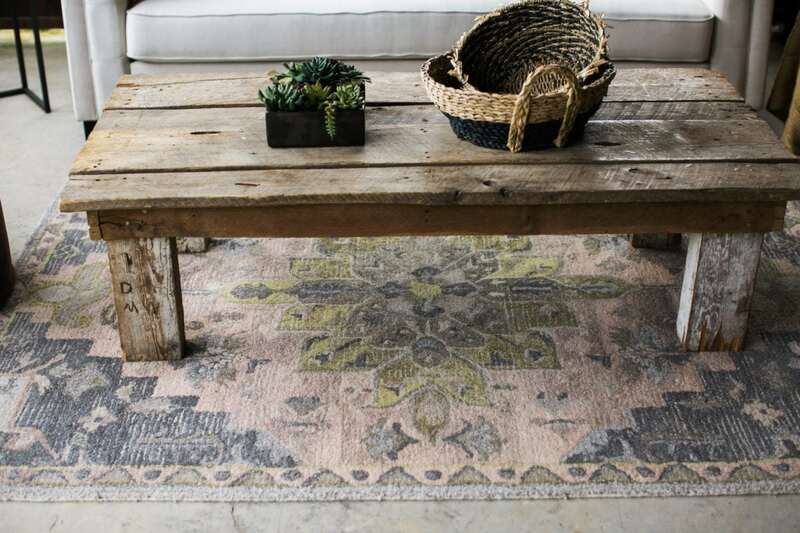 Especially great if you plan on having local press stop by, this combination is a great way to set the tone for your incredibly grand Grand Opening! 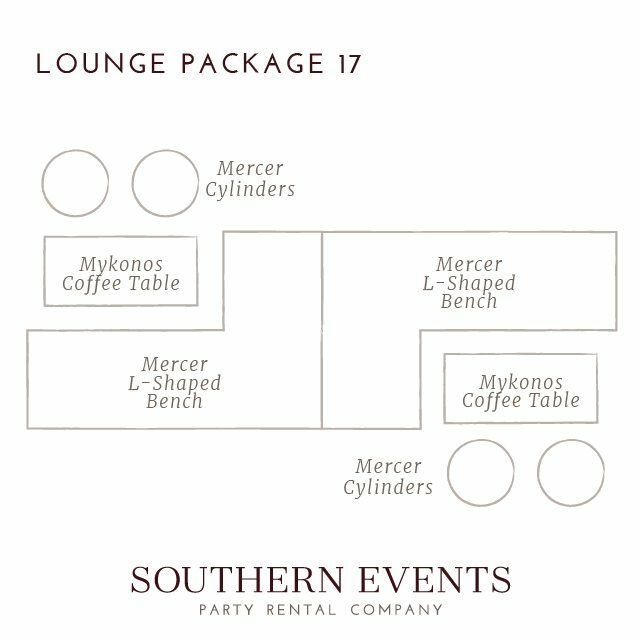 Guests can easily grab refreshments at any of our spacious bars so they are a must for a corporate grand opening or ribbon cutting. 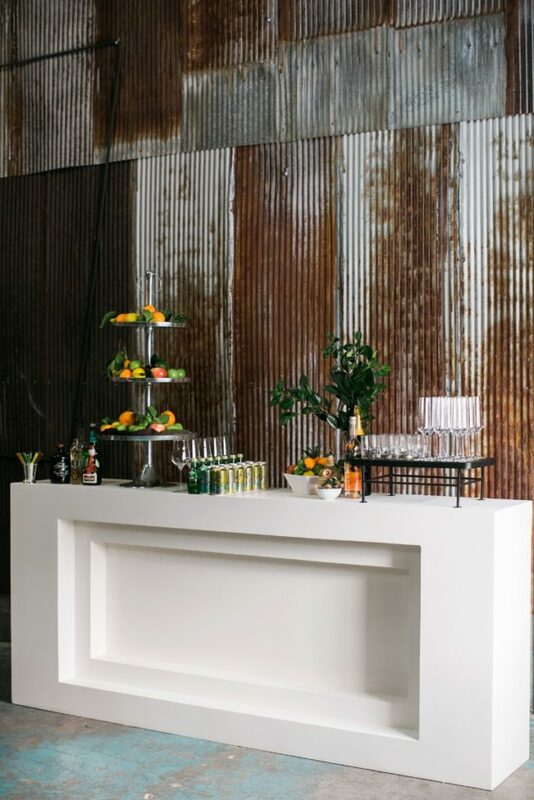 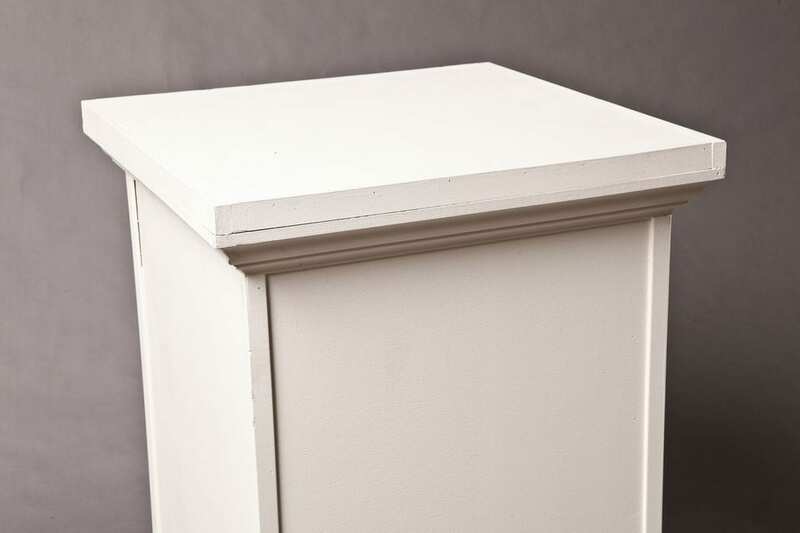 Our new Harpeth Bar Collection features an indented front where custom signage, florals or branded decor can be added. 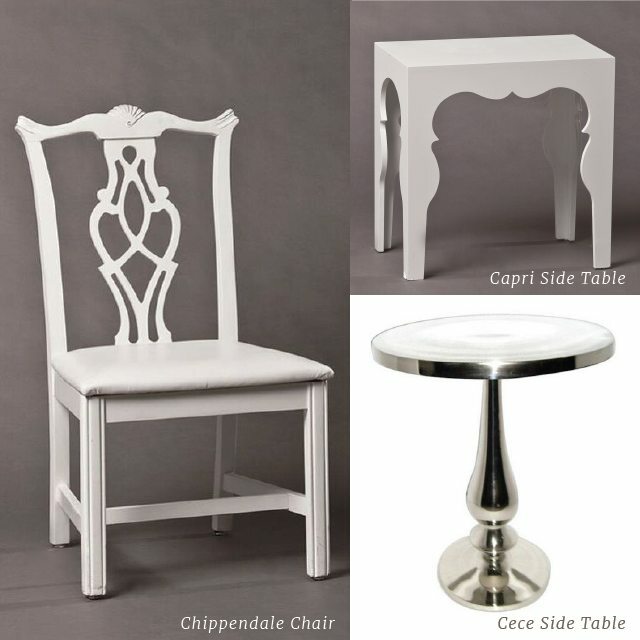 Plus, the all-white finish makes it work with any event style. 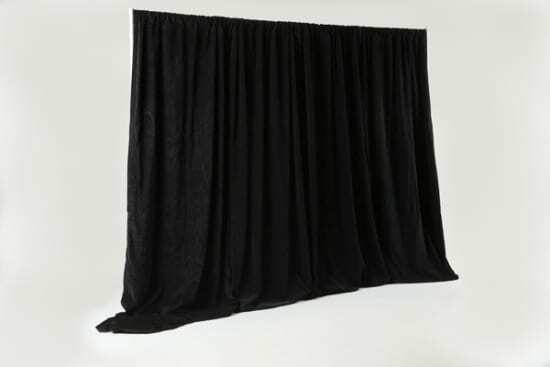 Draping adds a whole new element of drama to an event – especially when it’s a grand opening or ribbon cutting celebration! 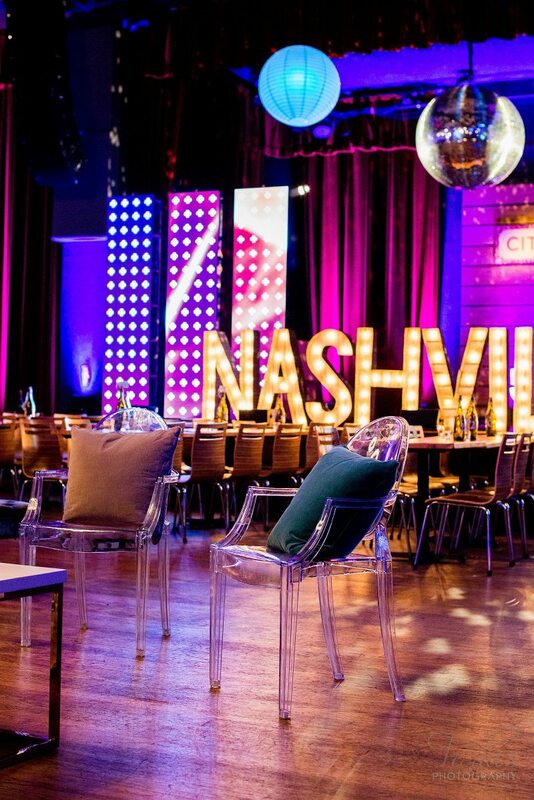 Bring attention upwards by adding draping to your next corporate event – the chic design instantly adds a bit of elegance to any venue. 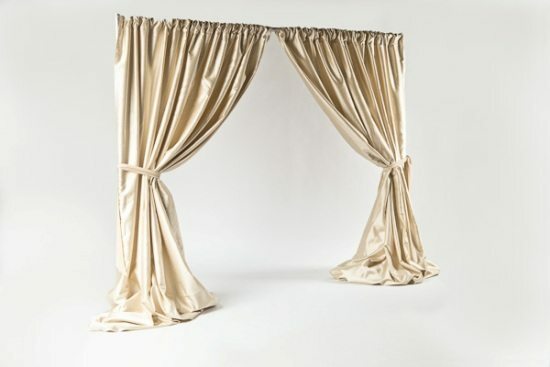 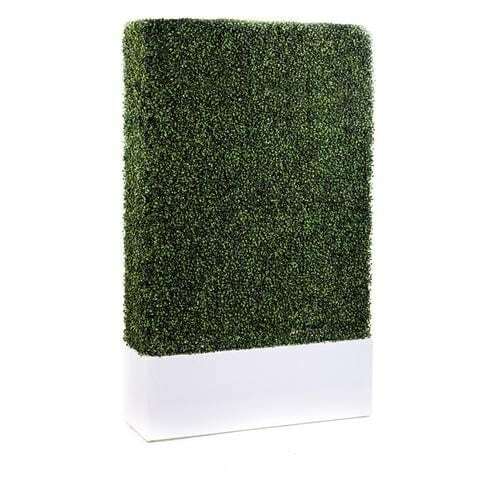 Or use the stand sans draping, hanging your custom step & repeat for guests to stop and strike a pose in front of. 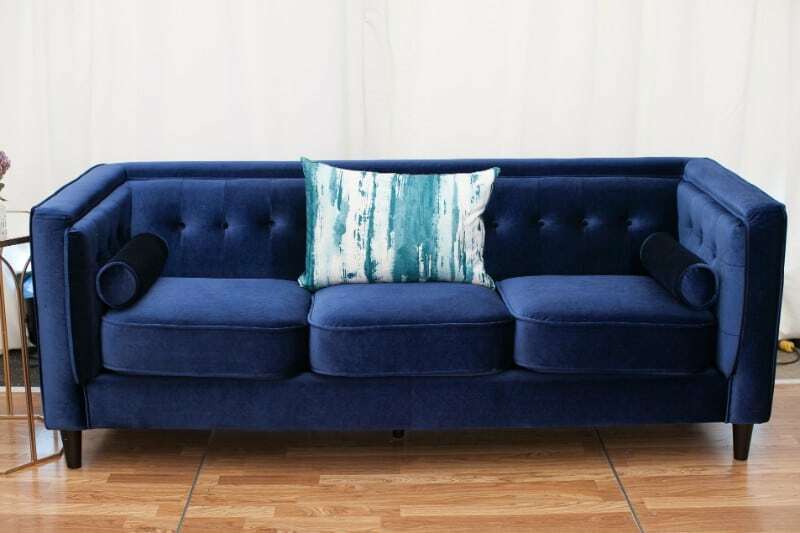 Who doesn’t love a lounge area? 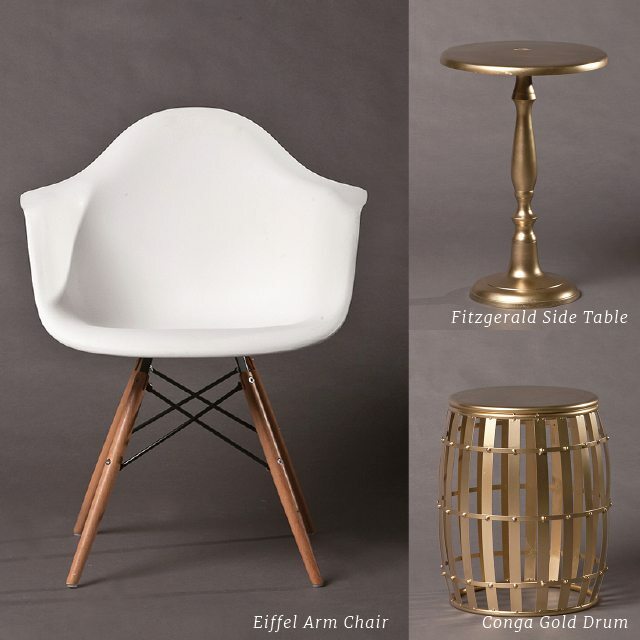 Our wide variety of Lounge Furniture makes it easy to turn your restaurant, boutique, bookstore, or salon into a comfortable place to enjoy great company! 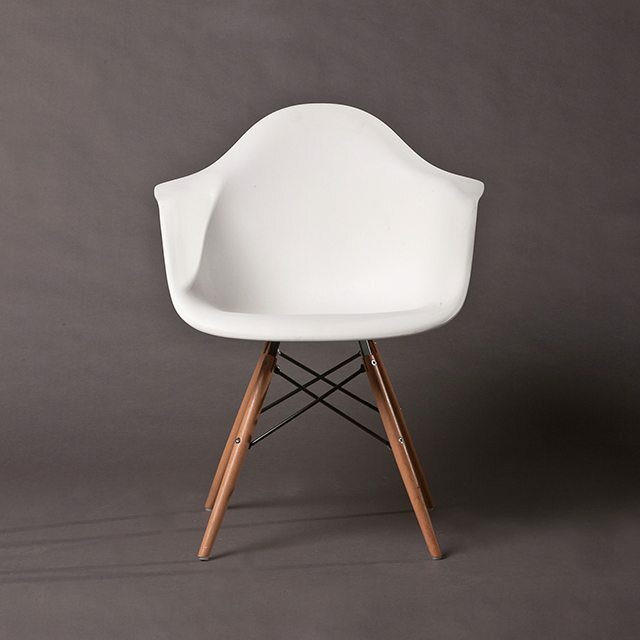 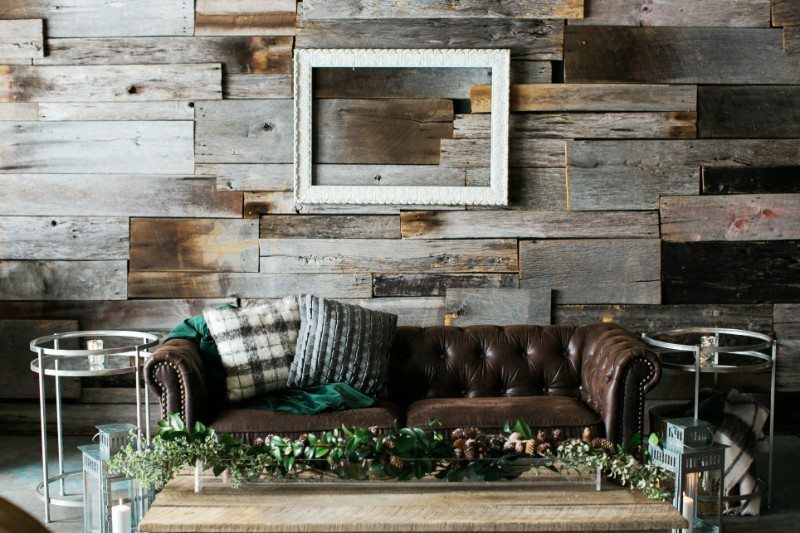 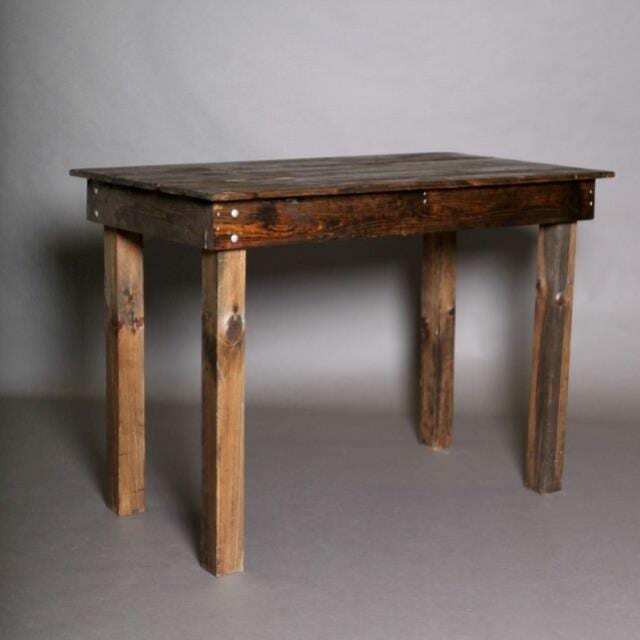 From sleek and modern to distressed and vintage, Southern has rentals for whatever compliments your brand. 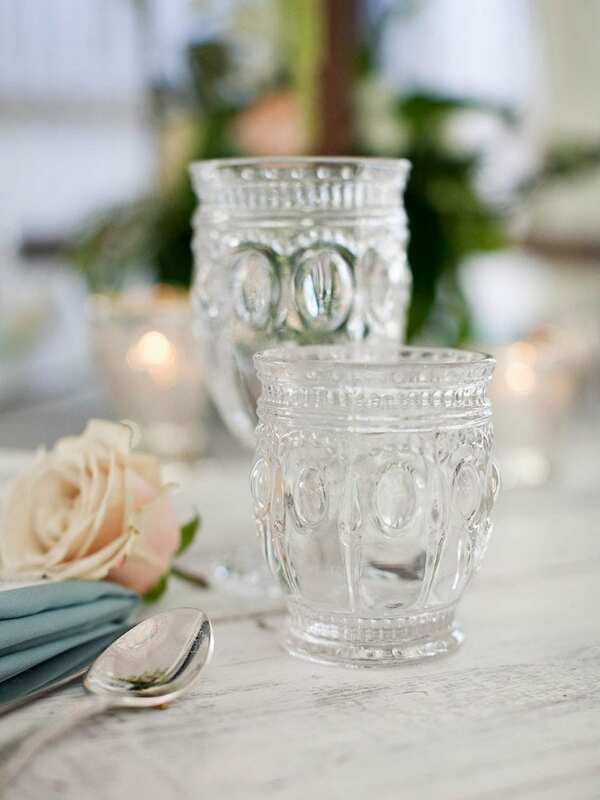 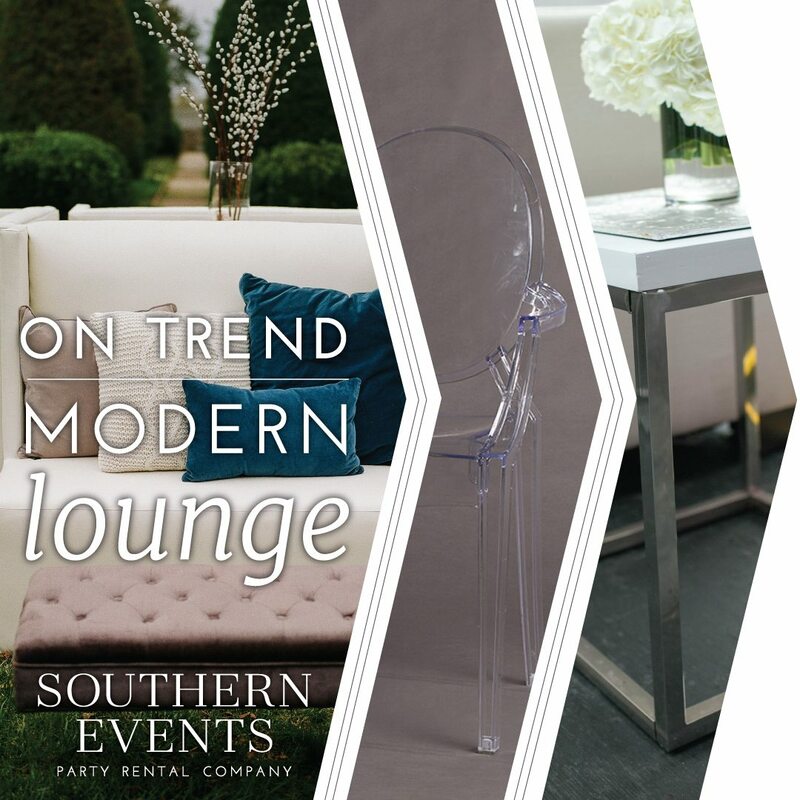 Whatever business you’re celebrating, Southern’s rentals can make sure your Grand Opening is styled to perfection. 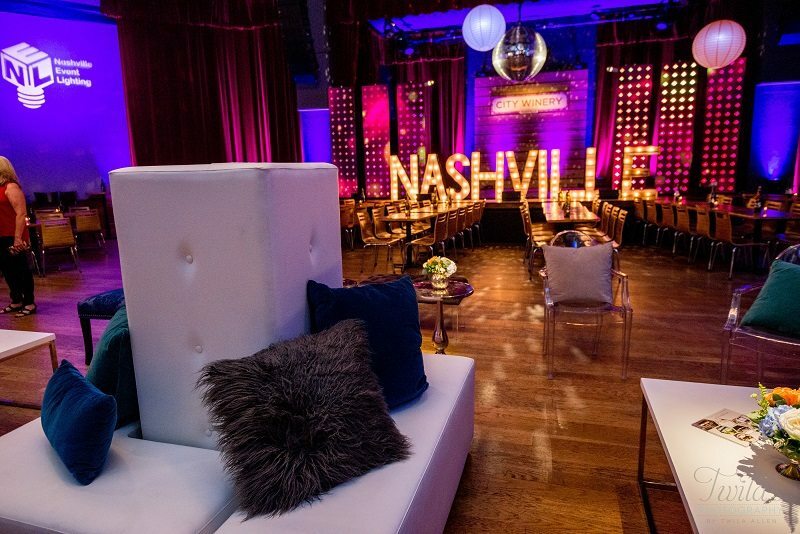 Get in touch with our team of experts to learn more and reserve rentals for your Nashville and Franklin, TN events, info@southerneventsonline.com. 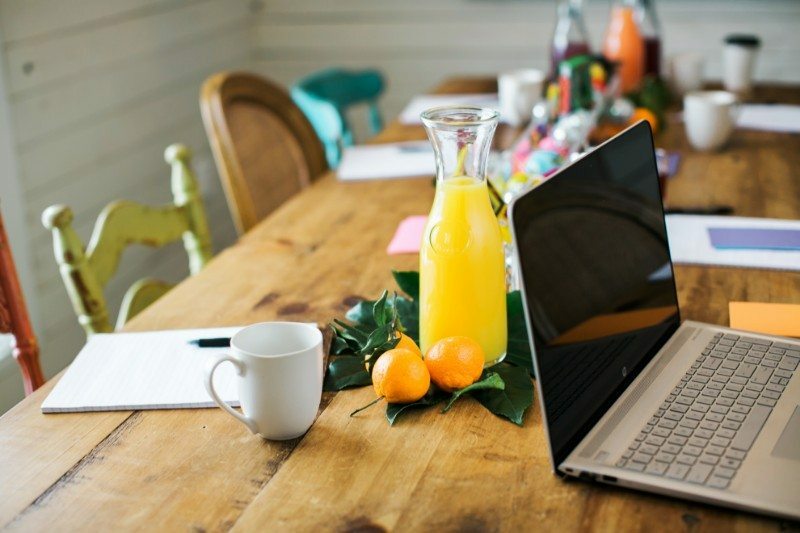 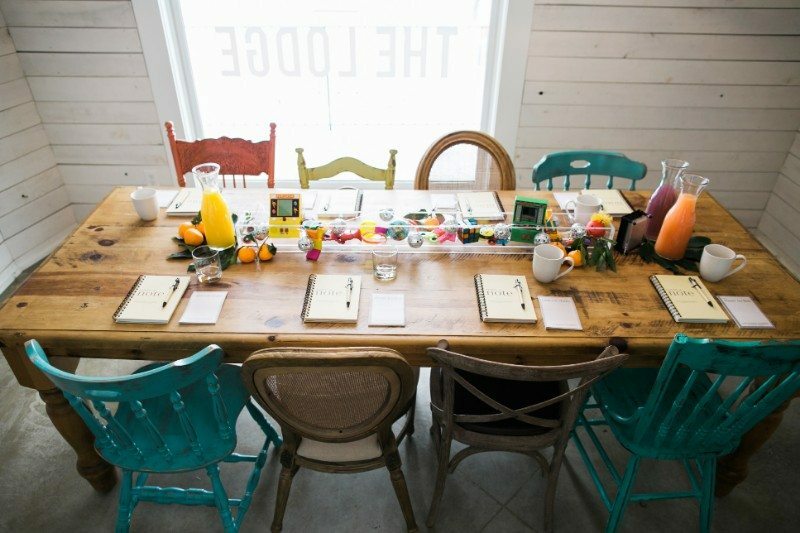 We’re big believers in planning corporate meetings off-site: nothing like a change of scenery to bring about fresh new ideas. 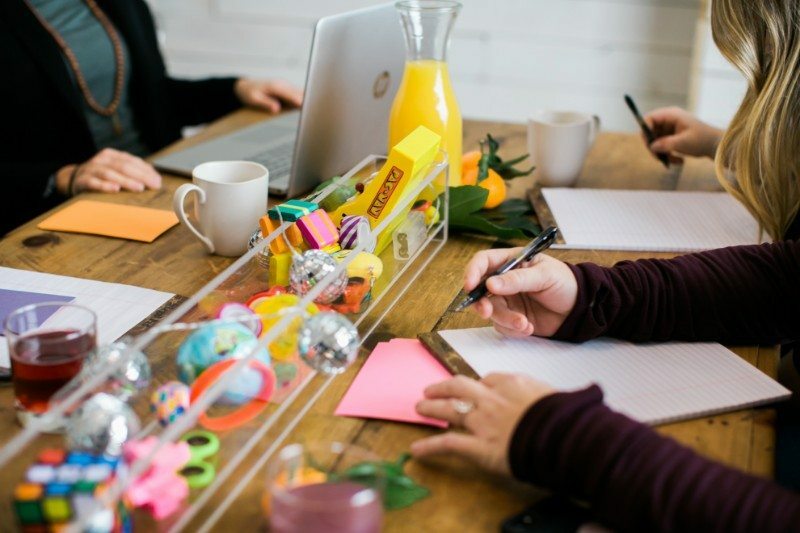 Go a step further and let your actual meeting space be a functional yet inspiring spot for employees to brainstorm, collaborate and learn with our bold and colorful rentals. 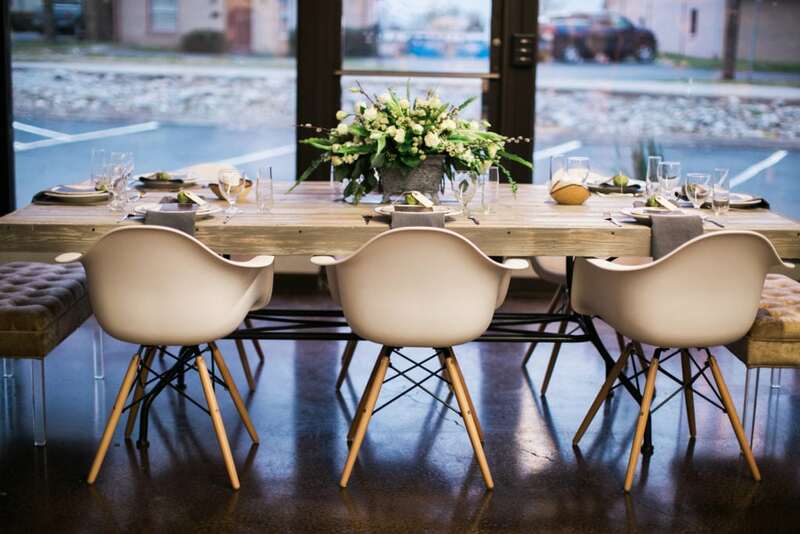 We met up with friends over at The Lodge in Franklin, TN and styled one of their meeting rooms to be a vibrant, cheerful space that encourages employees to think big! 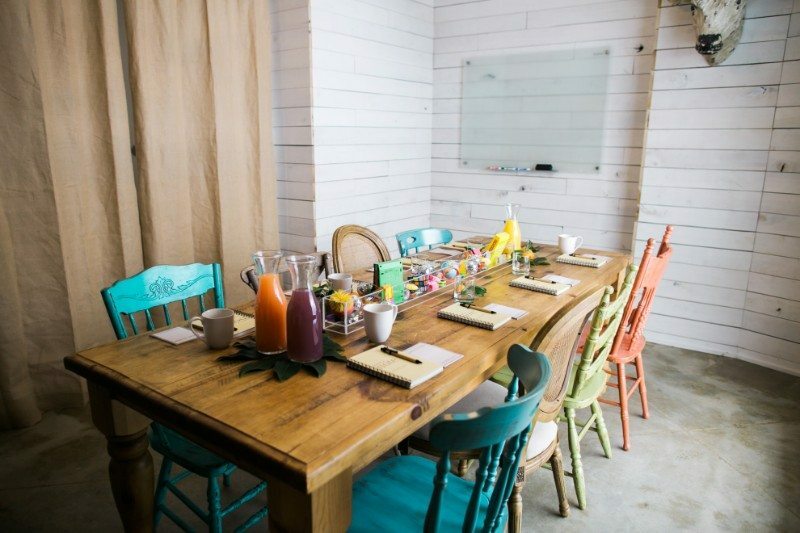 This bright conference room was already drenched in natural lighting. 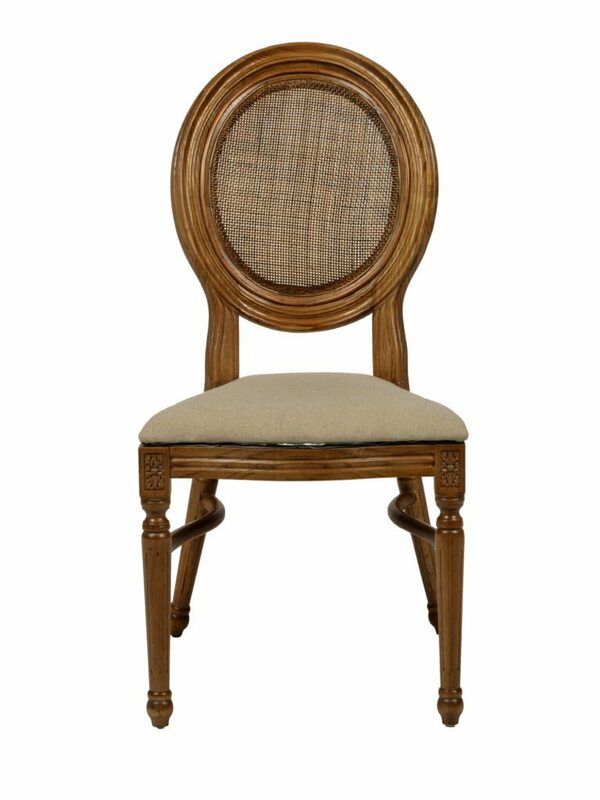 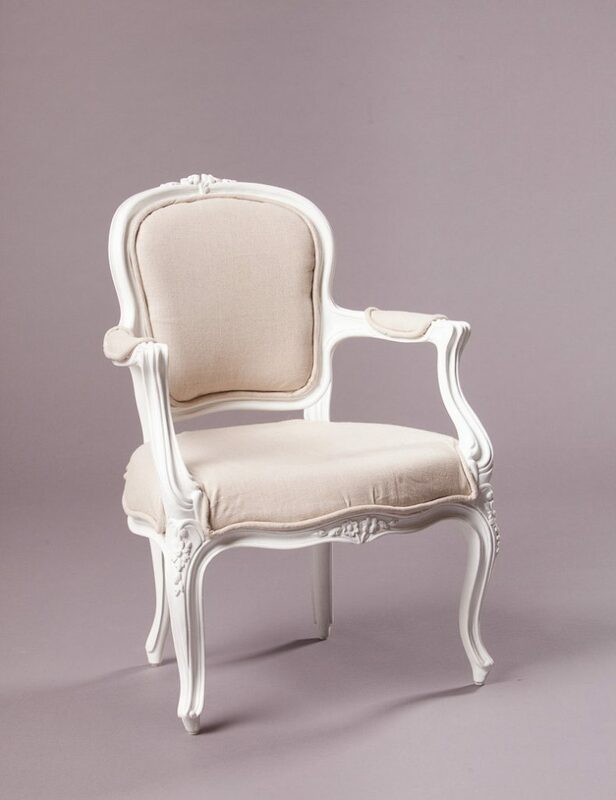 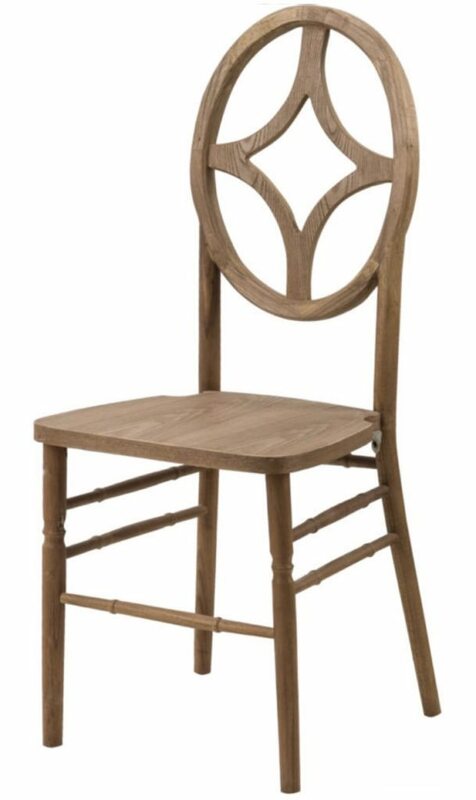 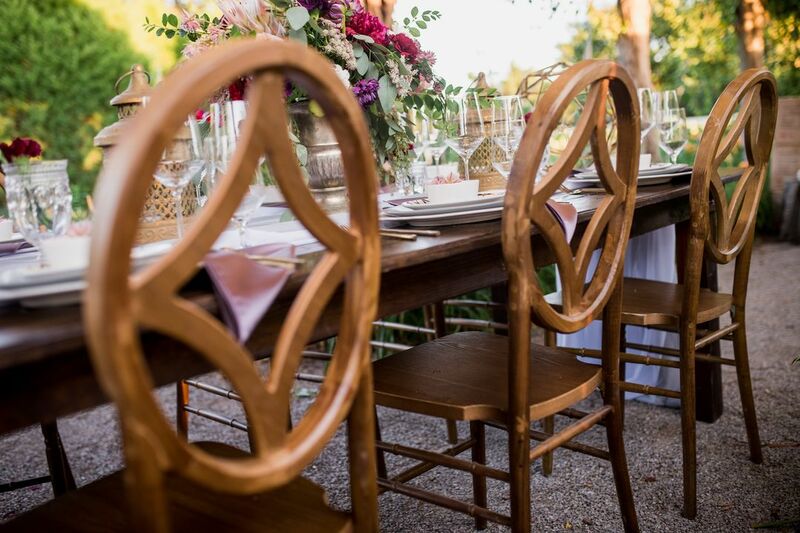 We added to that brightness with colorful vintage chairs, like the Charlotte, Amanda, Sadie, and Alex chairs along with the Cross-back and Adaline Chairs. 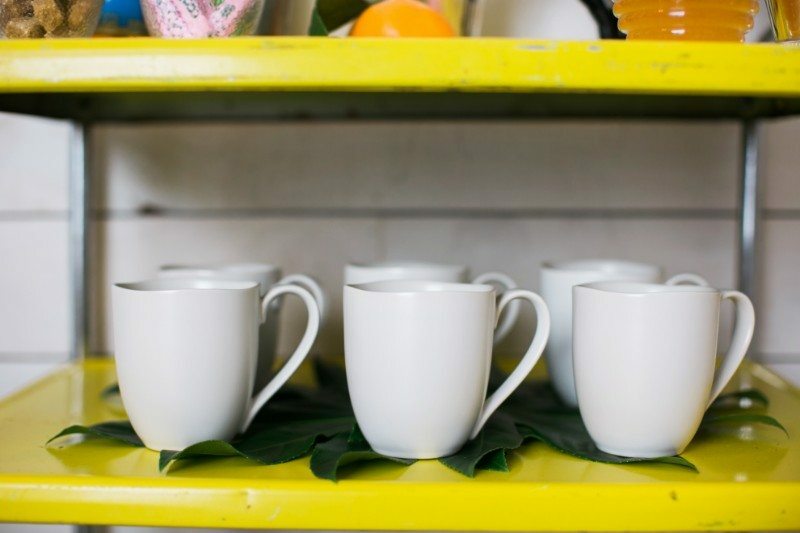 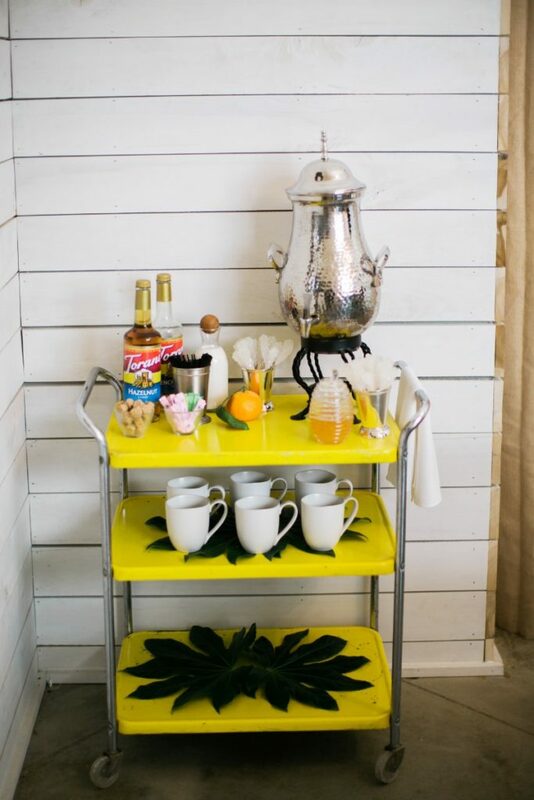 Our Vintage Sunny Rolling Cart was a thoughtful touch – employees were able to grab a caffeinated beverage at any point in our Earthen Alabaster Mugs, keeping their minds sharp! 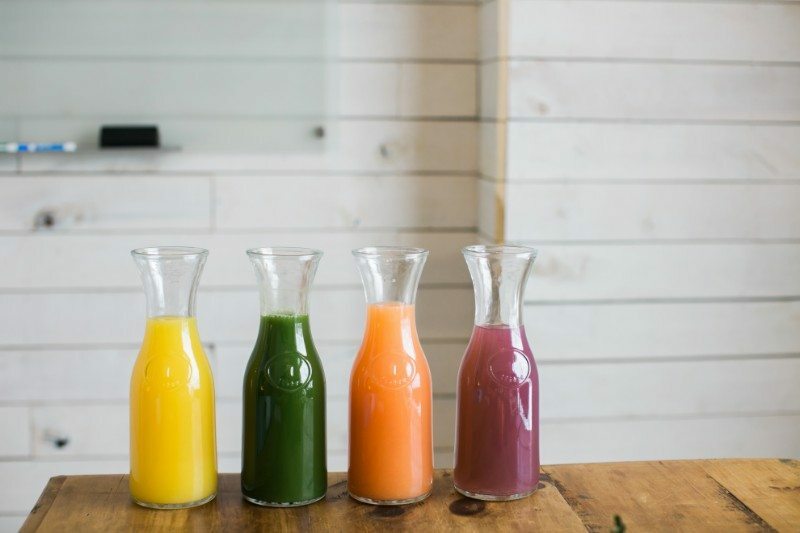 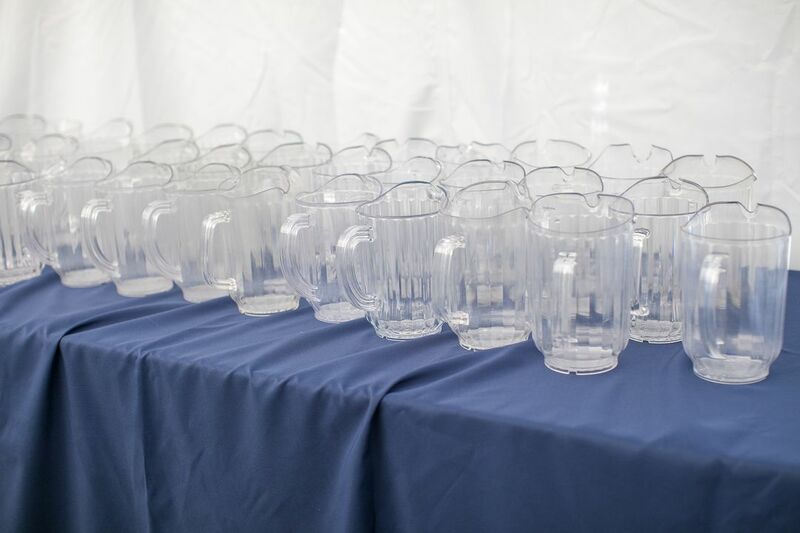 Attendees were able to grab more than just caffeine – Carafes filled with various juices were not only beautiful but were a refreshing mid-morning treat! 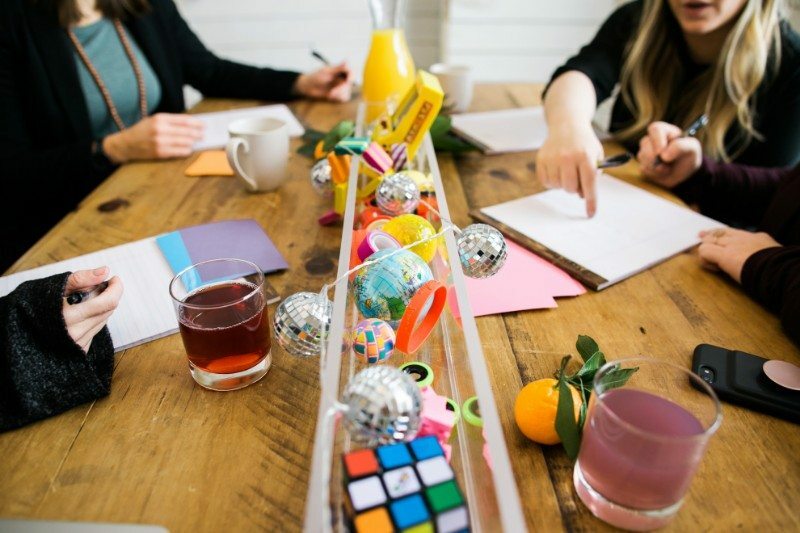 As an added treat, we did away with the expected mug-filled-with-pens centerpiece. 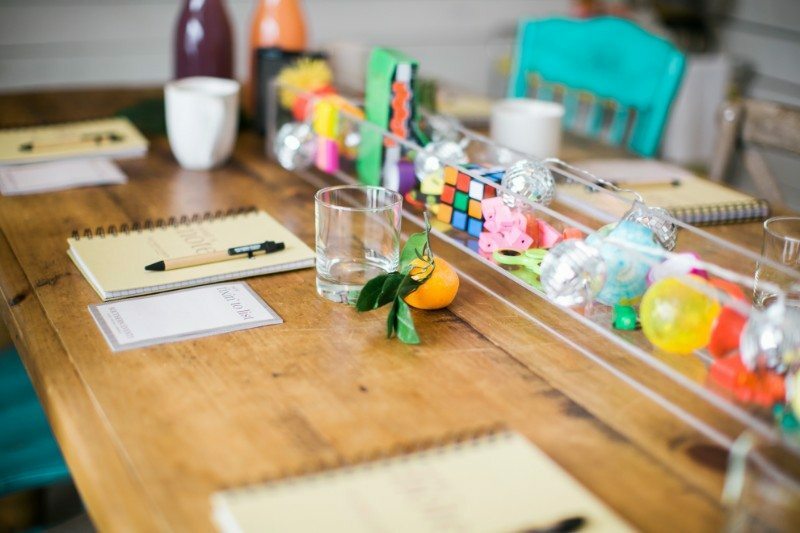 Instead, we filled our new Acrylic Rectangle Container with colorful energizing trinkets! 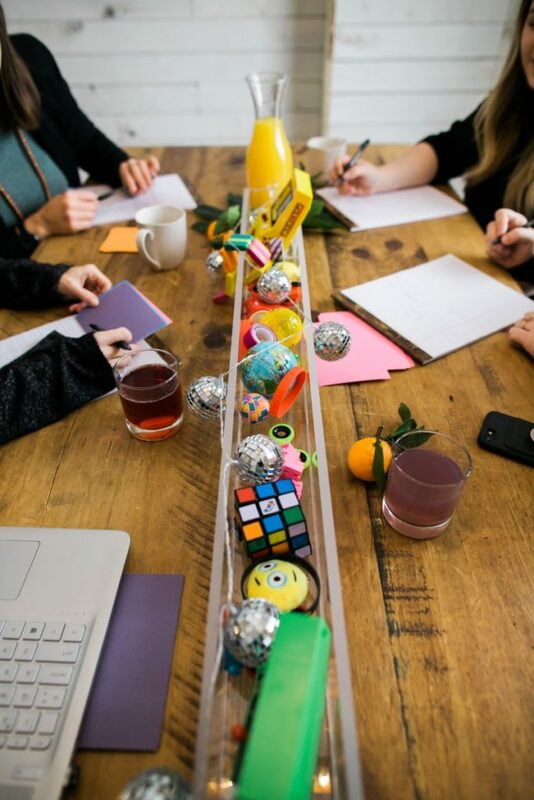 Employees loved the silly addition that helped them keep boredom away while working brainstorming with their colleagues. 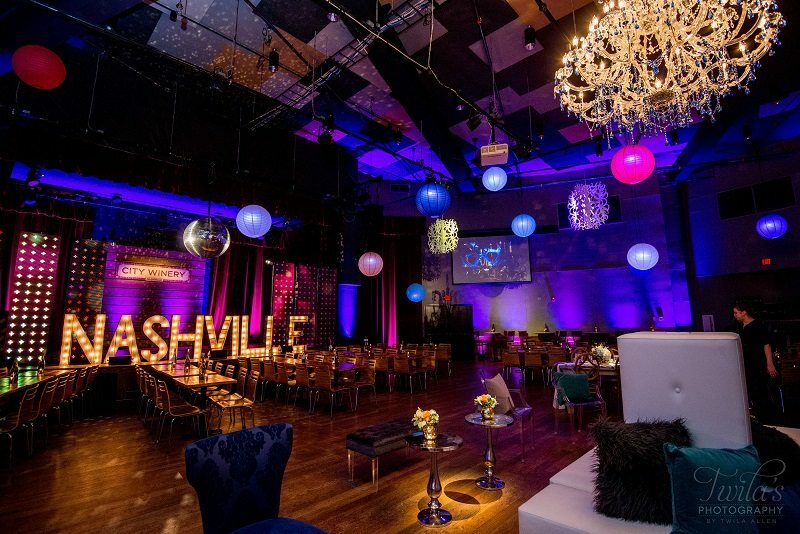 Get in touch with our team of experts to learn more and reserve rentals for your Nashville and Franklin, TN events, info@southerneventsonline.com. 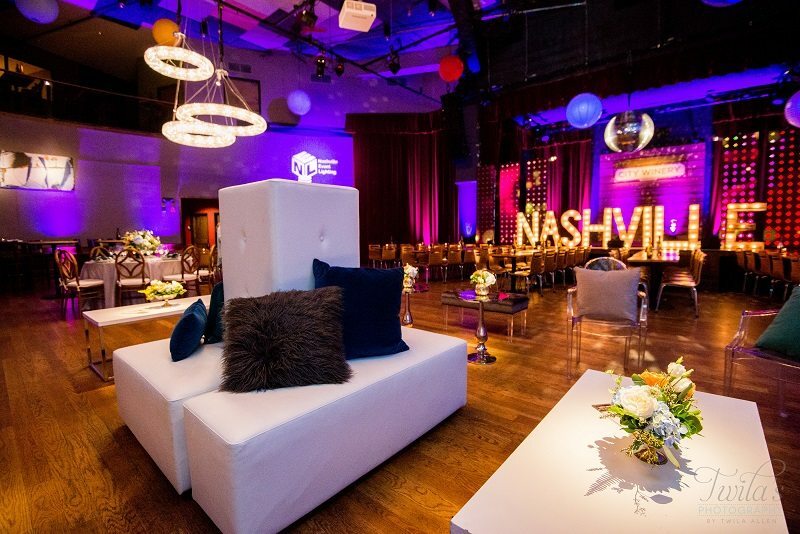 Our most recent corporate event transformed Nashville City Winery‘s concert and event space into a sleek and sophisticated space for networking over cocktails and dinner. 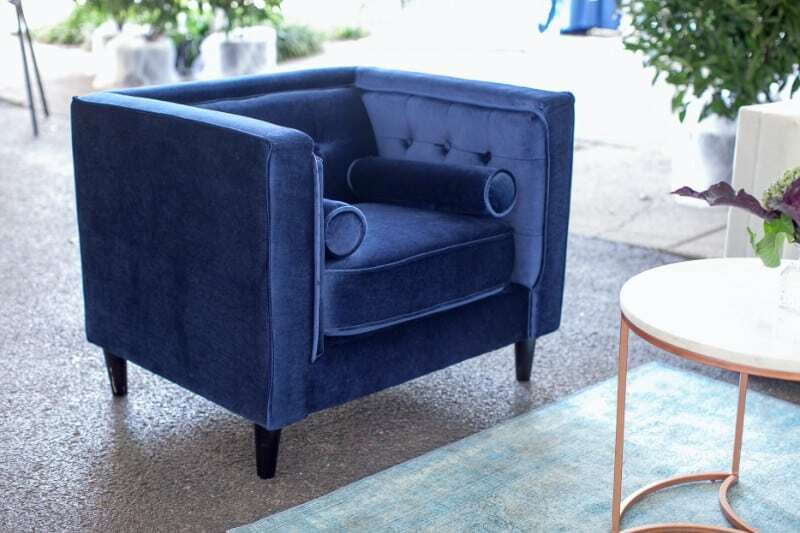 The open house utilized a variety of our comfortable seating options, including the Rhapsody in Blue Side Chairs, our Nickel Grey Bench with acrylic legs, and Ghost Arm Chairs with plush pillows for a stylish lounge area. 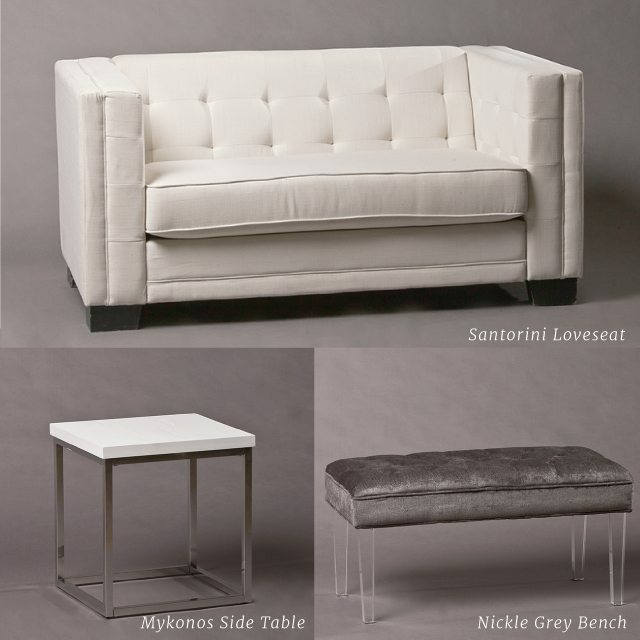 Seating was accented by our white and chrome Mykonos Coffee Table and chrome Cece Silver Side Tables, keeping the style sleek and sophisticated. 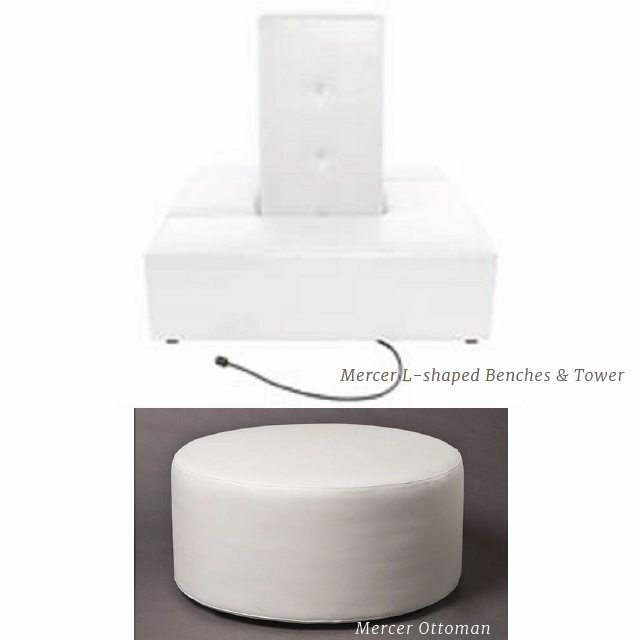 Our new White Leather Mercer Tower with L-Shaped Benches were highlighted and with good reason. 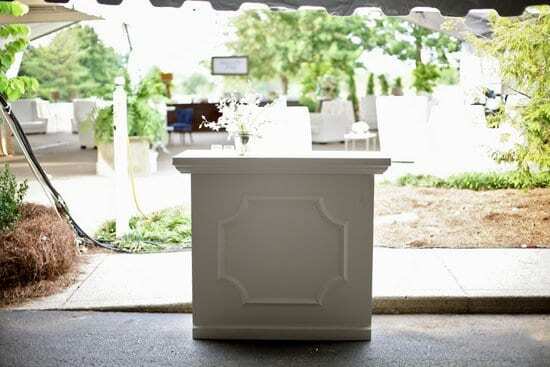 The “L” Tower is powered, meaning it can be used as a charging station for guests! 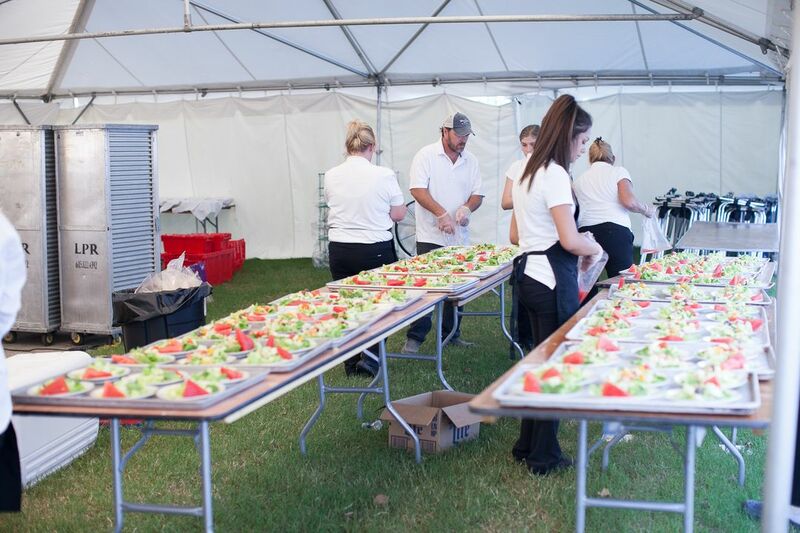 Busy professionals, who come to corporate events with work still on their minds, love this feature. 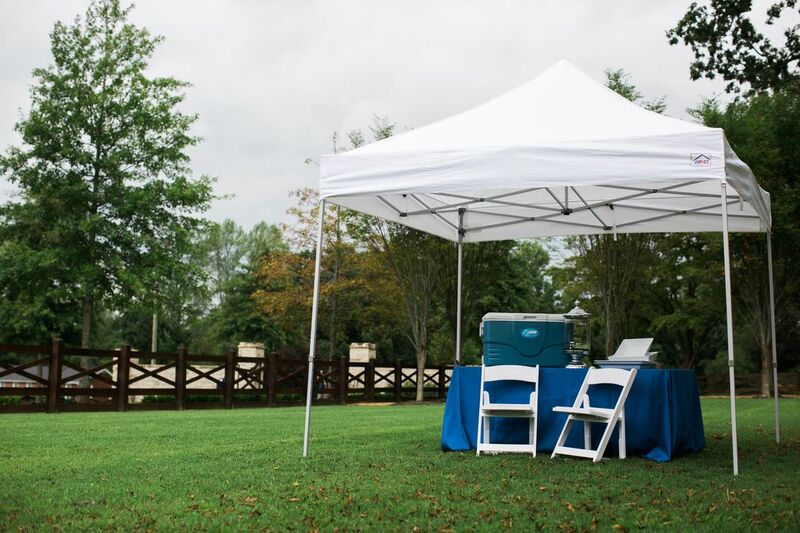 And giving guests an extra charge surely showcases Southern hospitality – who doesn’t appreciate a central spot to charge their phone? 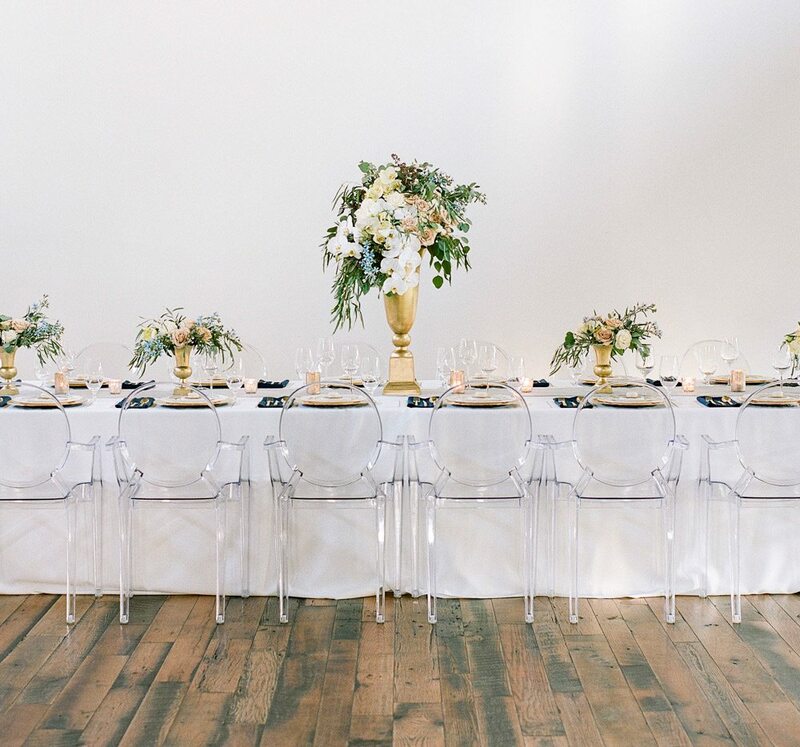 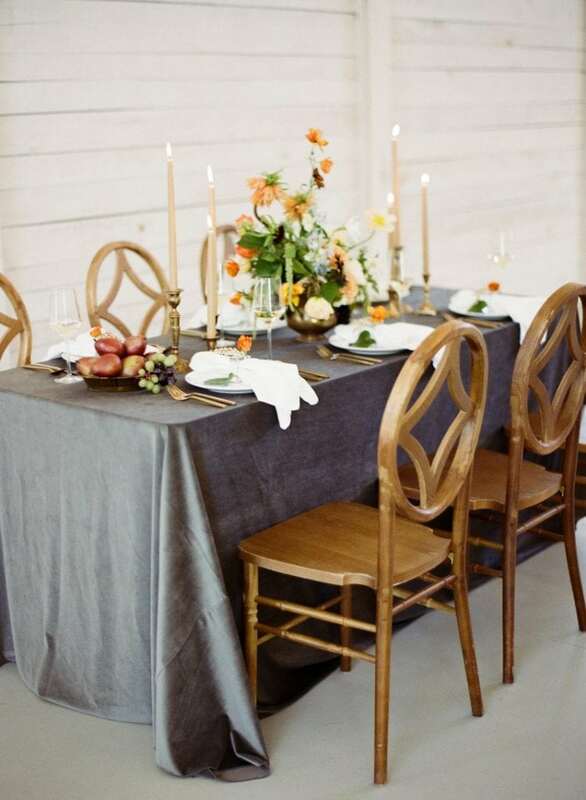 City Winery has tables and chairs of its own so we create a few inspiration tables for guests These paired the ever-popular Grayson Farm Tables with Chiffon Runners and the new Harlin Dining Chairs for a sleek and Southern design. 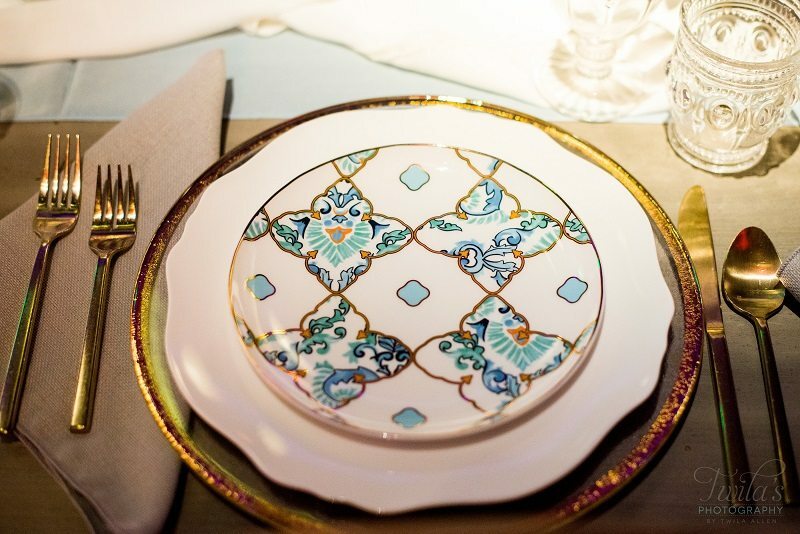 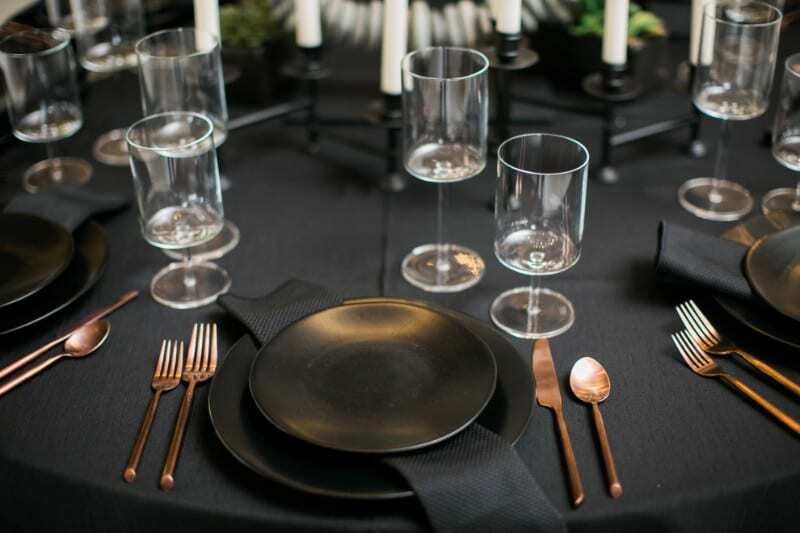 Gold Austin Flatware was placed next to Glass Chargers with Gold Rim, along with our Darcy White China dinner plates and our new Gold Accent China Plates in Coronado and Laguna designs. 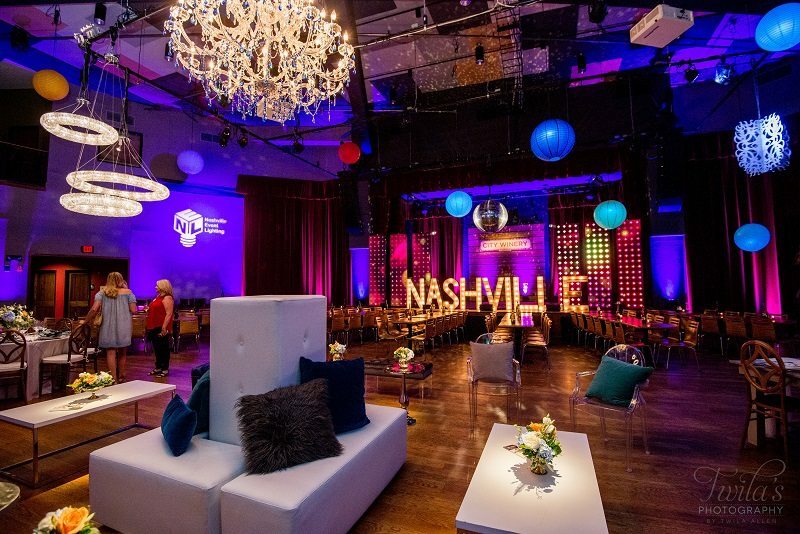 Shout out to Nashville Event Lighting for heading up the event and their stunning lighting design – it really made the space shine! 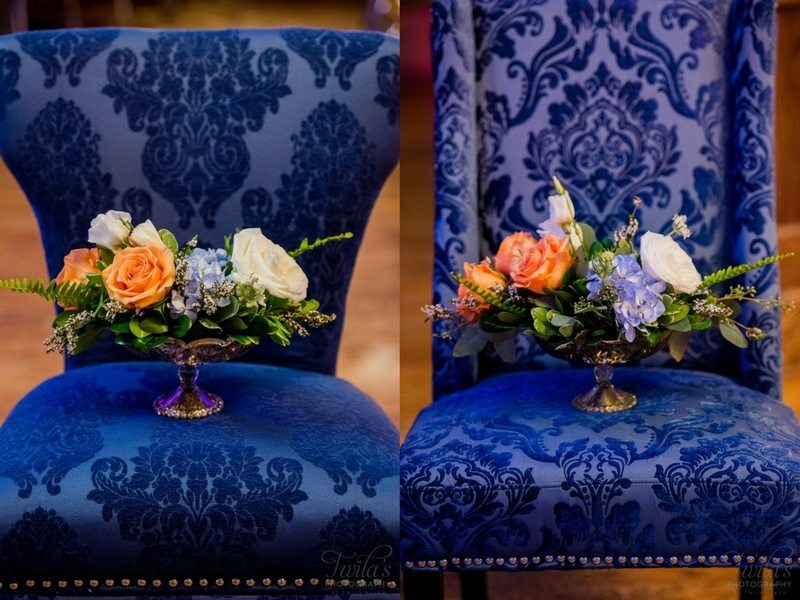 And thanks to Twila’s Photography for the photos. 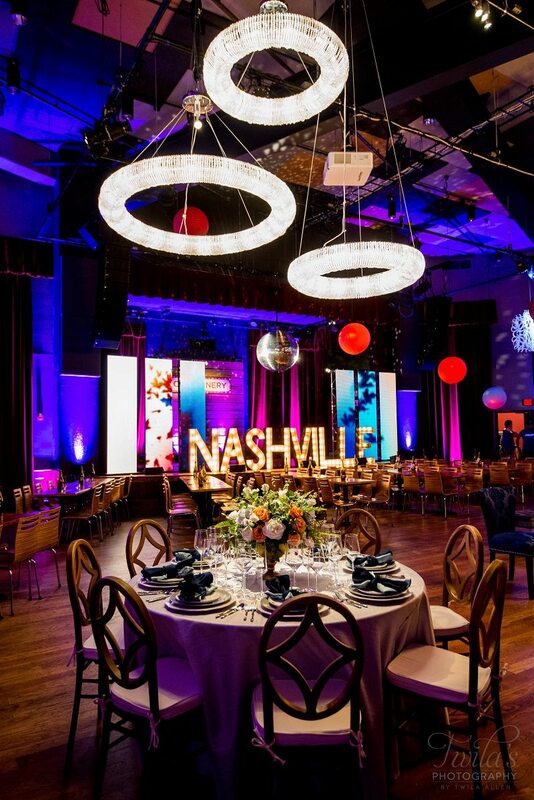 Such a wonderful event – we can’t wait for all the events City Winery will hold! 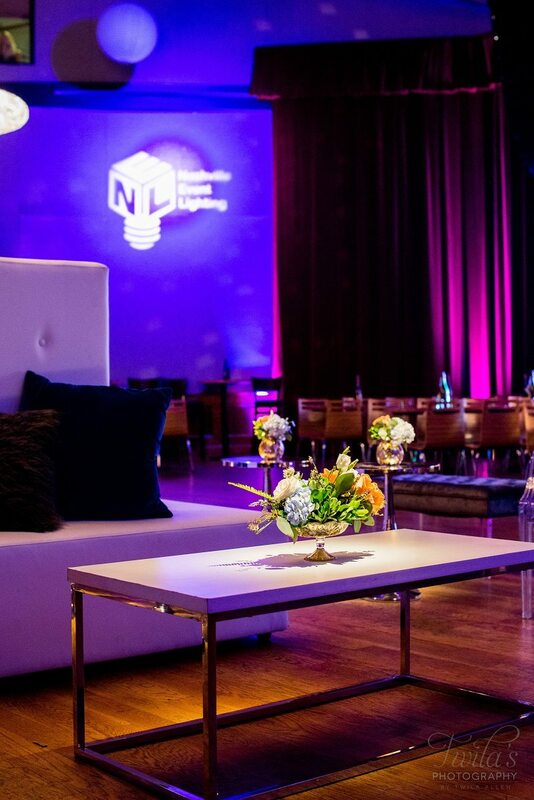 Adding a lounge area to your next meeting or company gala is no longer just a fun design element to include – it’s now an anticipated staple for any modern event. 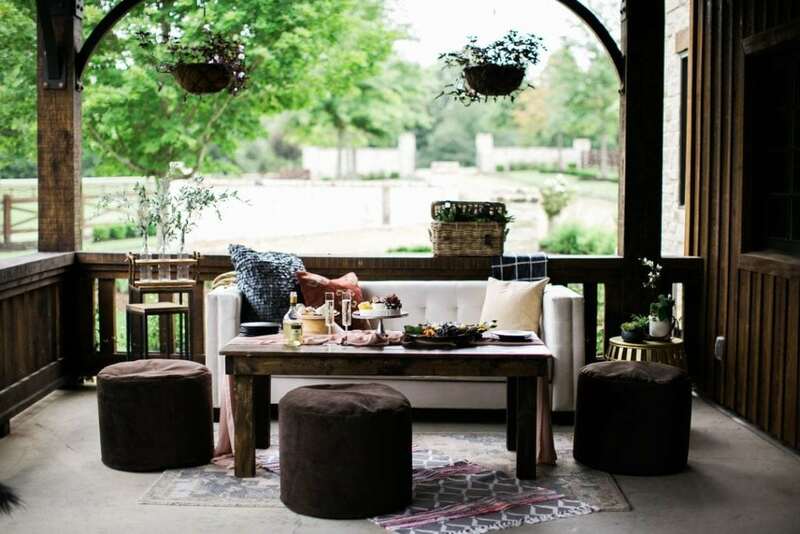 The perfect place for your guests to mingle and relax, lounge areas bring people together and adds personality and intimacy to a large event space. 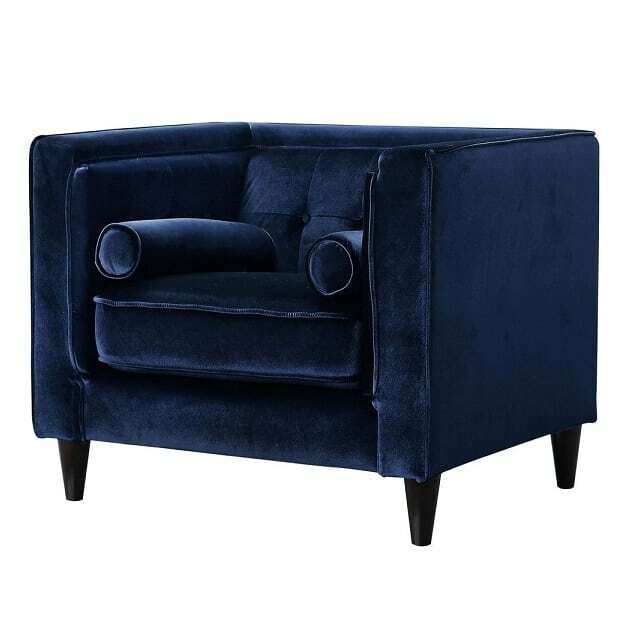 Whether your guests are enjoying cocktails or conversation, they can more easily do so in comfort and style with lounge furniture. 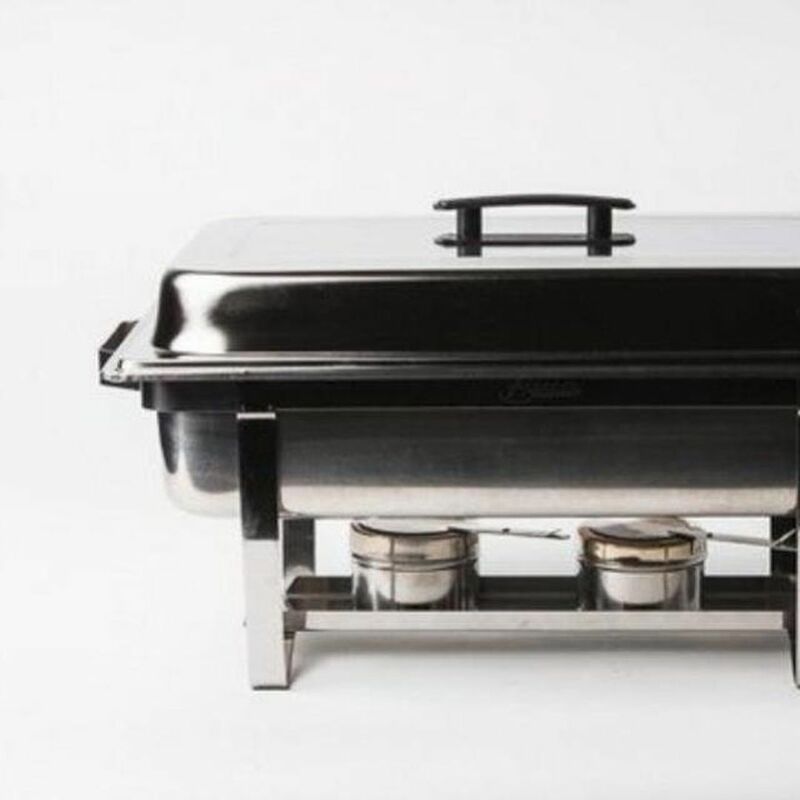 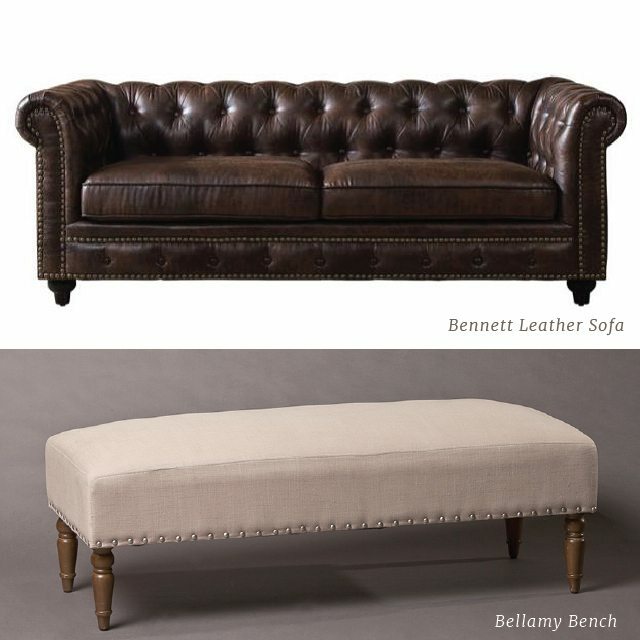 Excited about the design addition, but lost when it comes to styling your own? 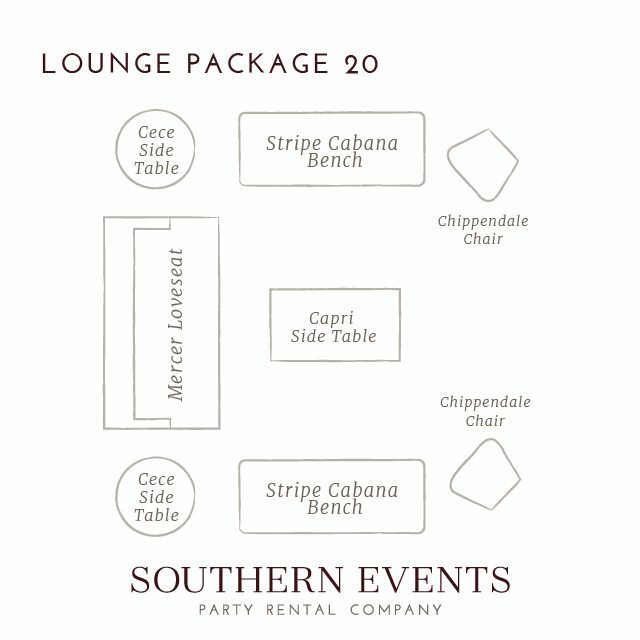 We’ve made it effortless to add a lounge area to your next event with our Southern Lounge Packages. 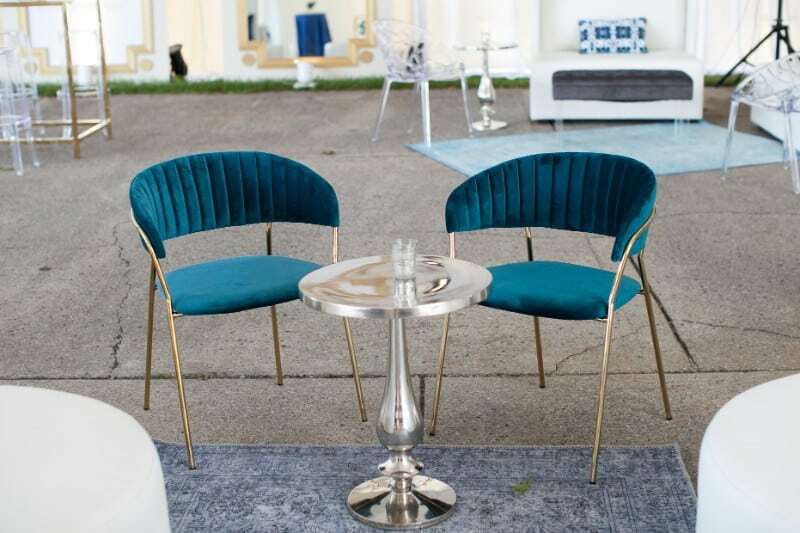 Whatever event is next on the docket – meeting, galas, wedding or cocktail parties – we’ve curated our most loved styles for your event lounge! 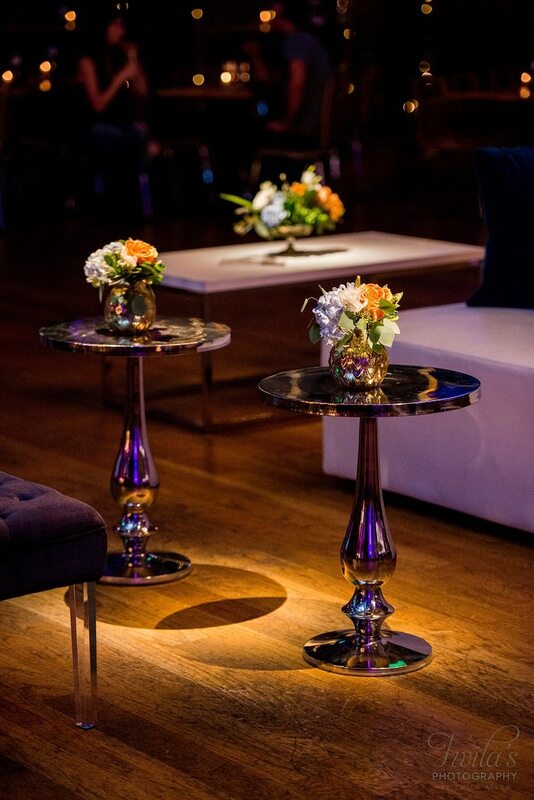 Our Lounge Package One combines clean lines, tufted accents and chic chrome for a buttoned up, black-tie event. With simple and neutral details like this, this package can be easily customized with pillows or florals to match your overal decor. 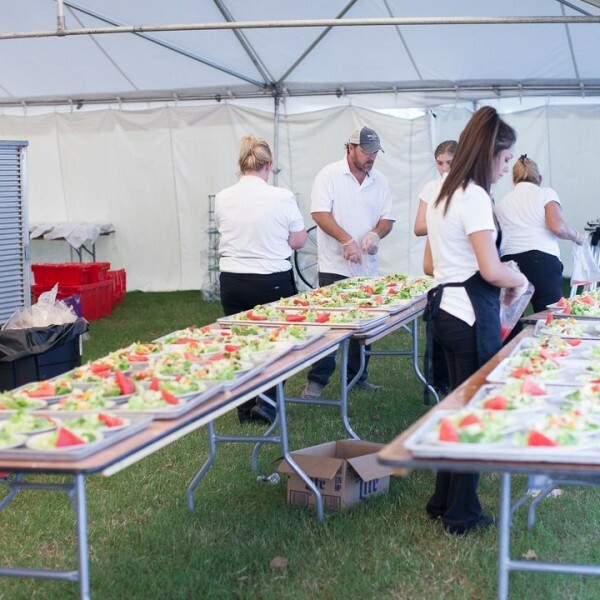 Perfect for your next charity gala or formal corporate party. 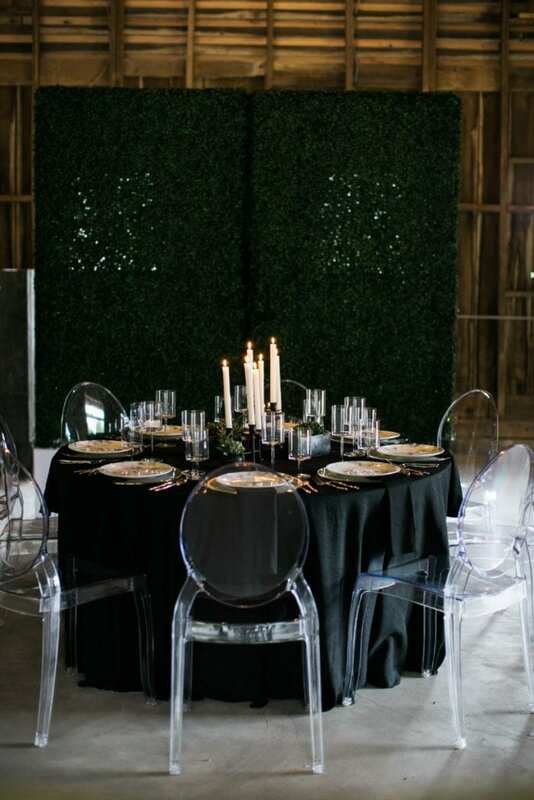 Or take black-tie to the next level with a black and white statement bench and silhouetted tables. 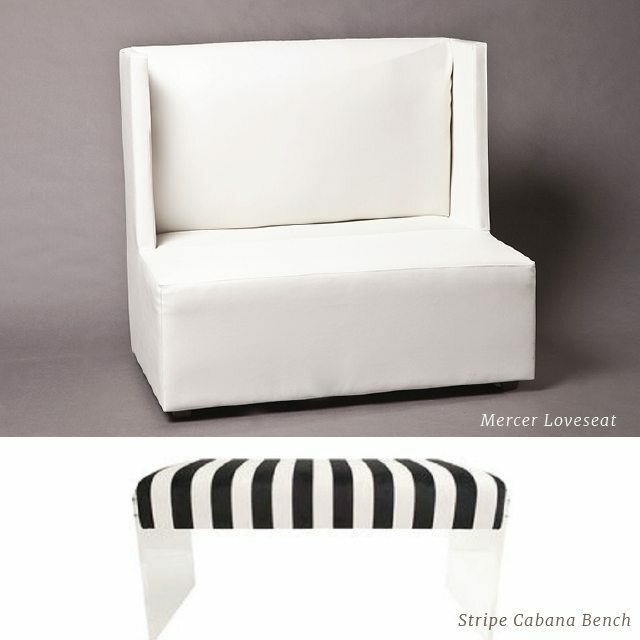 Black and white chic gets a little more stylish with Lounge Package 20 – we especially love how elegant the Cece side table looks paired with the Chippendale chair. 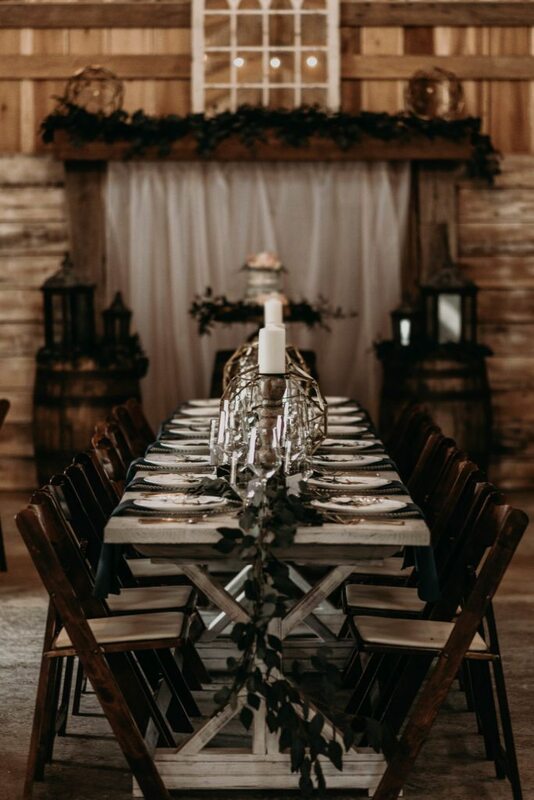 Have something else in mind? 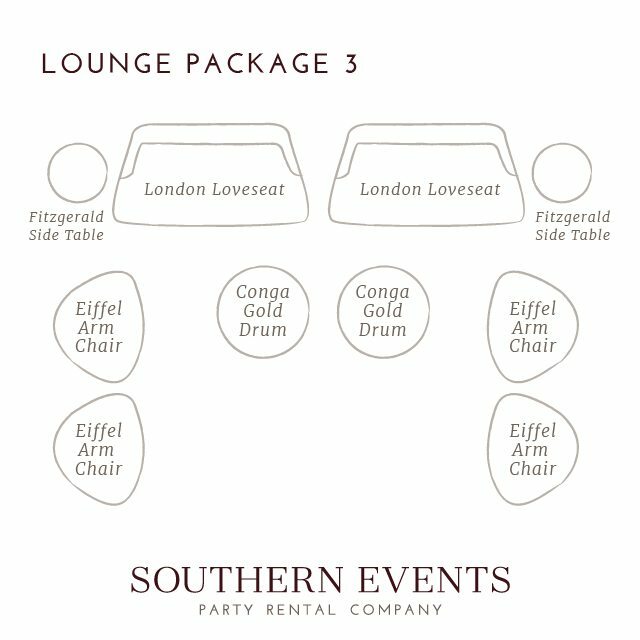 View the rest of our Lounge Furniture Packages or contact info@southerneventsonline.com for more information. 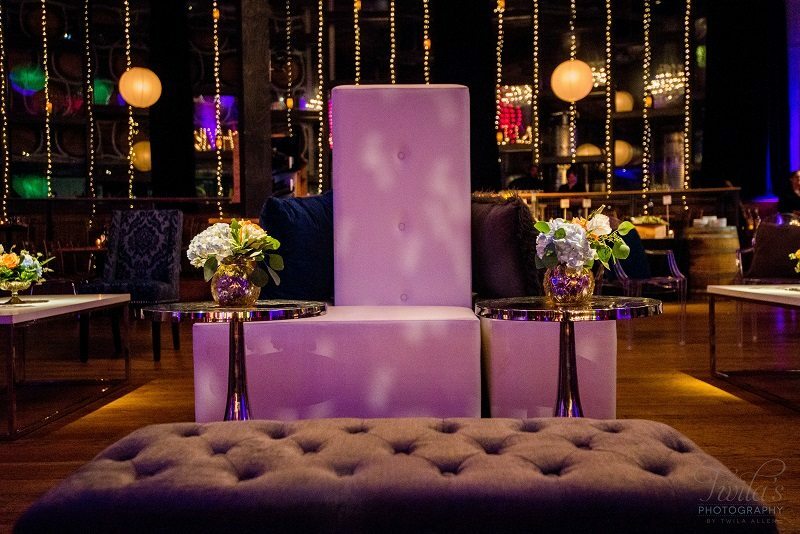 Sleek white leather matches nearly any company’s logo colors, making these next Lounge Packages the ideal fit for your next corporate event. 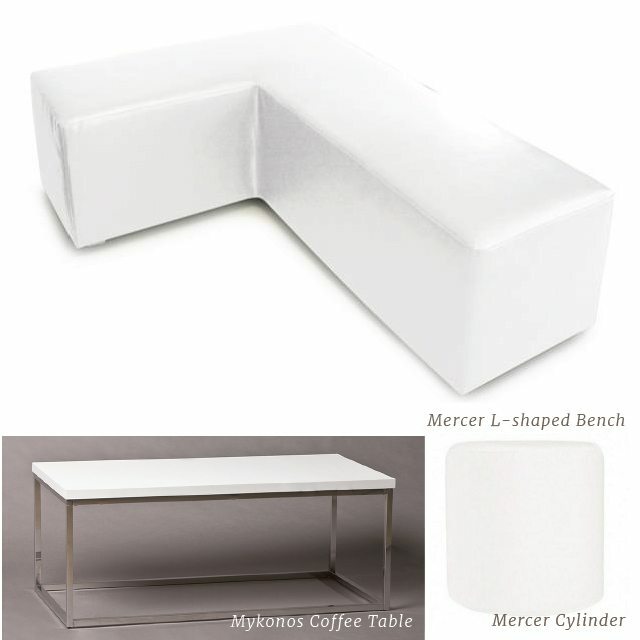 Our Mercer L-Shaped benches are ideal for large corporate gatherings that need to provide comfortable, informal seating for guests in between panels, or trainings. 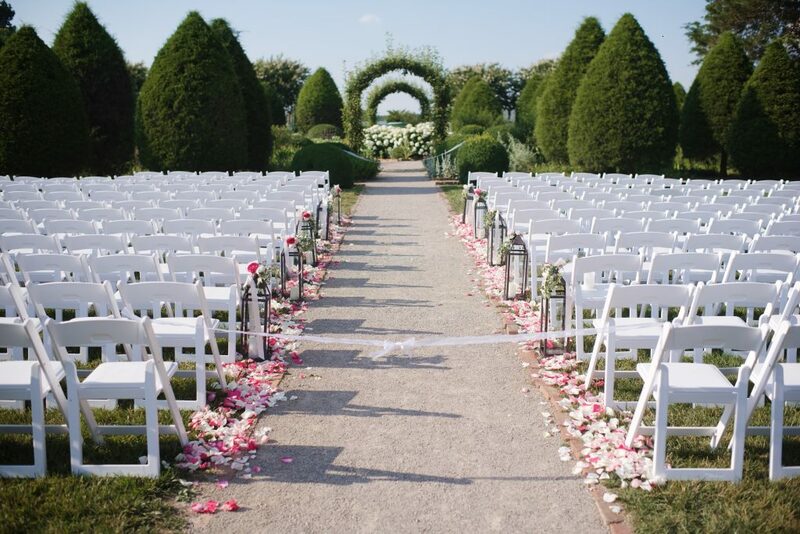 More than that, these benches allow your colleagues to sit on either side which makes it easy to put in the middle of the venue since you know that sight lines will remain uninterrupted. 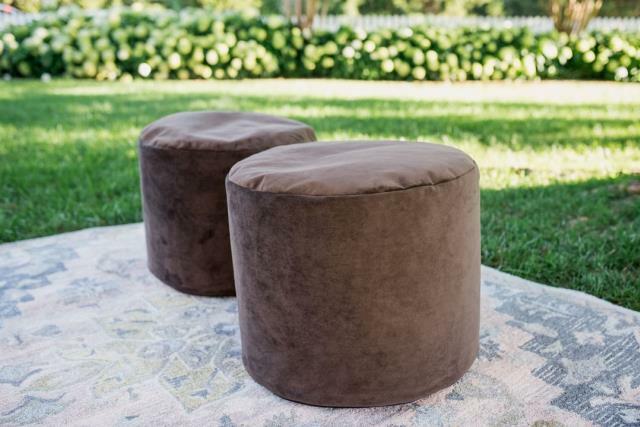 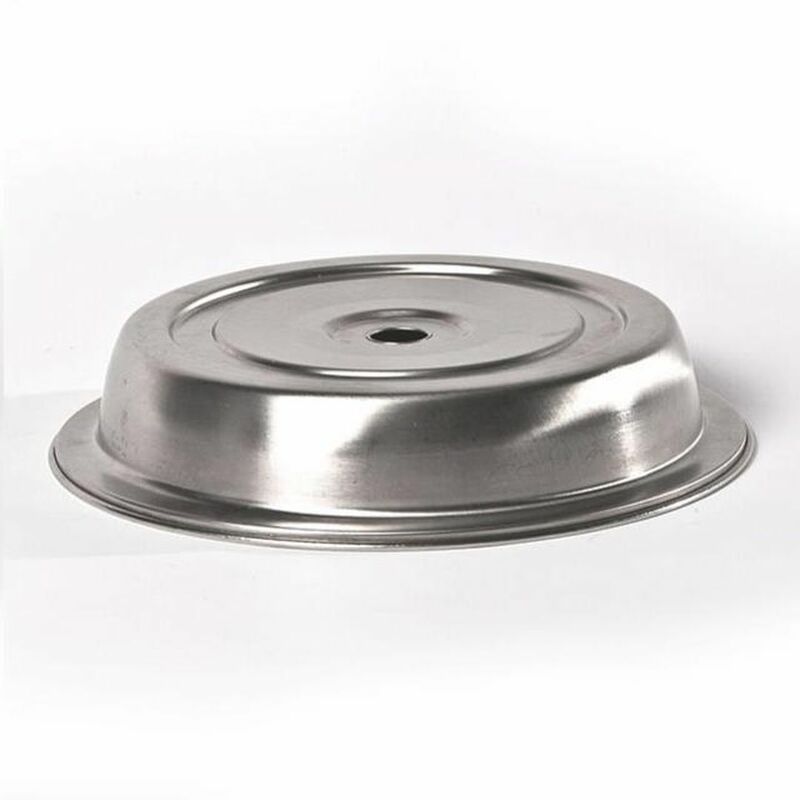 Pair them with our Mercer Ottoman and Cylinder or Mykonos Coffee Table for a simple and chic lounge area. 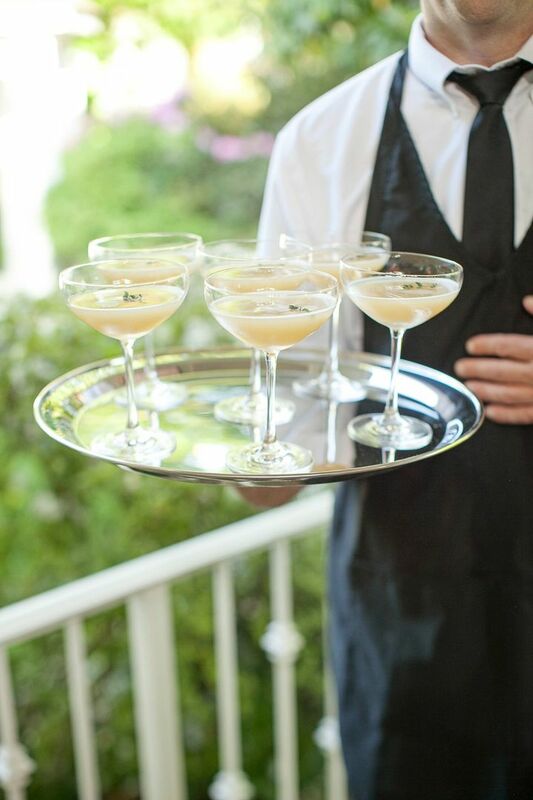 Cocktail parties are a great way to show appreciation for your employees while allowing them to build camaraderie. 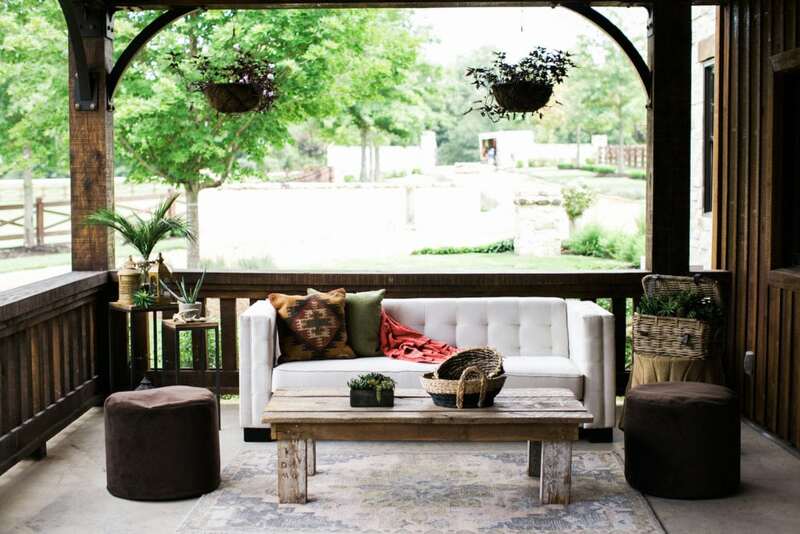 Get people to do more than stand and sip – allow them to sit and socialize with a thoughtful lounge area! 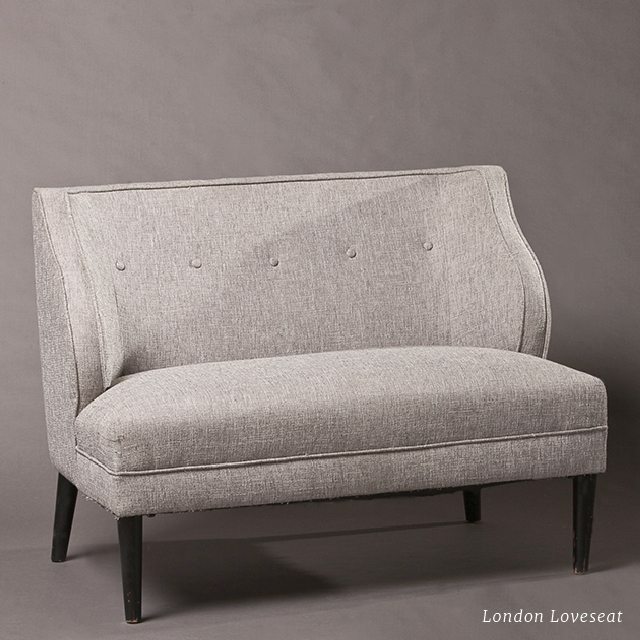 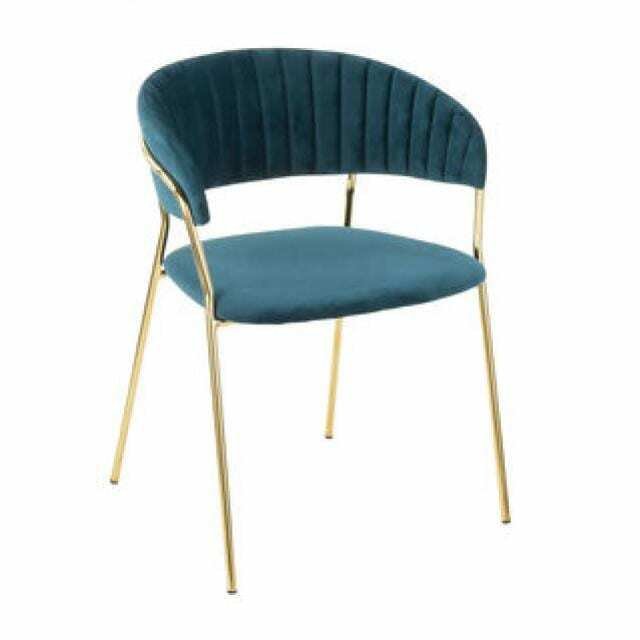 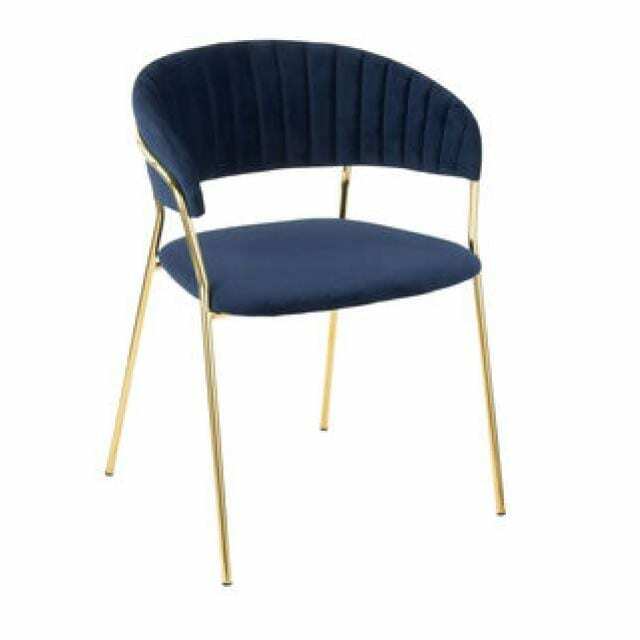 Our comfortable London Loveseat next to gold accented side tables is a stylish way to welcome guests, while the Eiffel Arm Chair adds an unexpected touch of modern flair to the design. 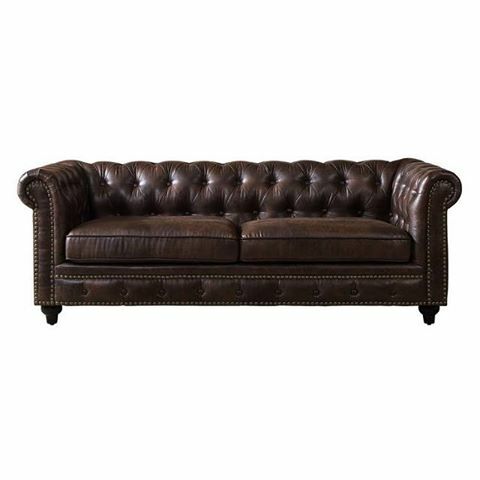 Or, give your lounge a masculine feel with our Bennett Leather Sofa – perfect for a more rustic event venue. 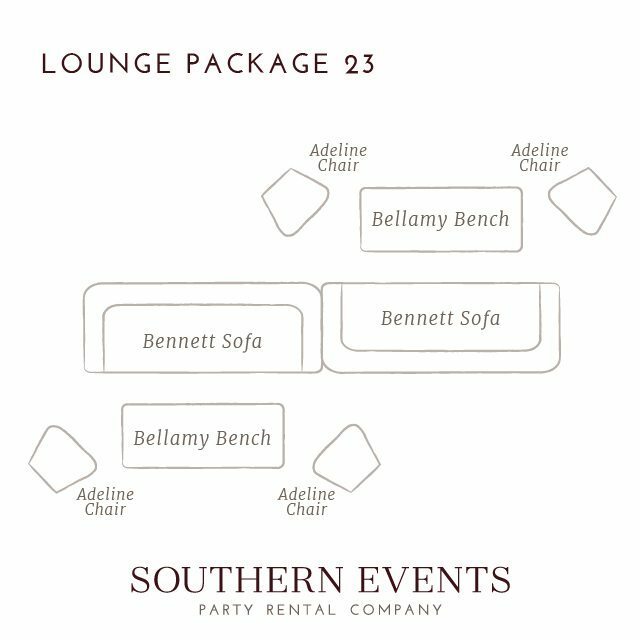 We’re pleased as punch to be offering these new Lounge Furniture Packages in Nashville and thrilled to offer special pricing to celebrate! 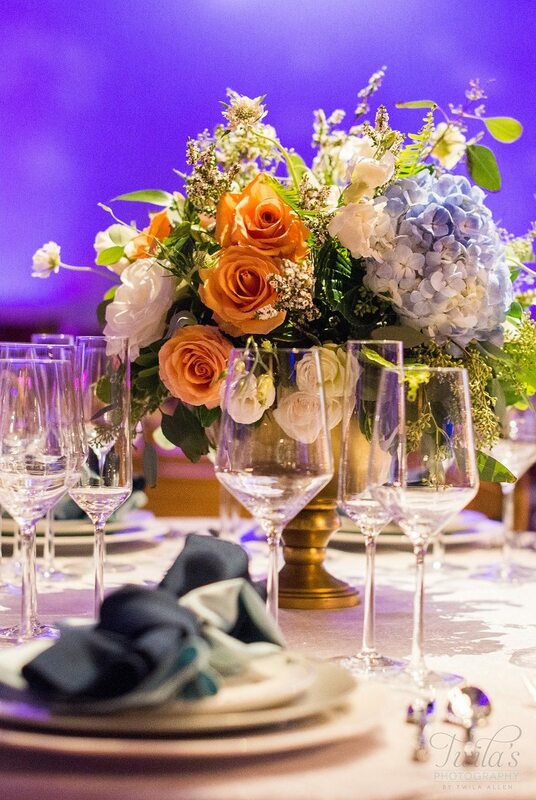 Book by August 15th, 2017 and receive special pricing for events through Nov 30, 2017. 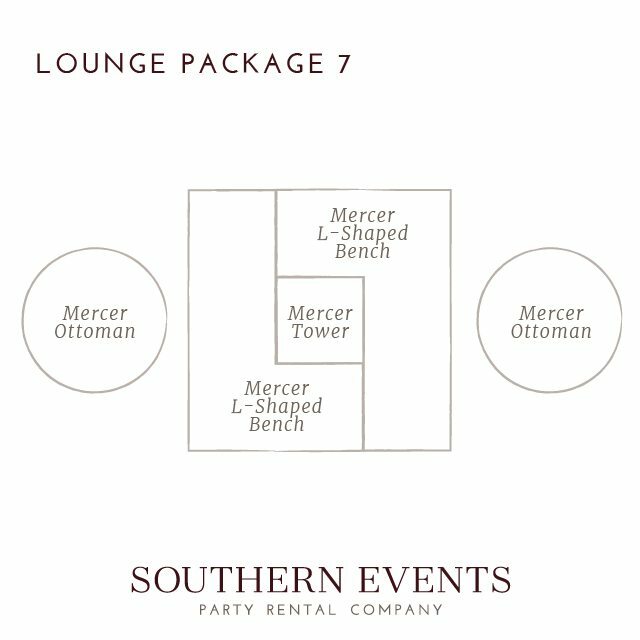 Contact our team at 615.595.8508 or by emailing info@southerneventsonline.com for more information! 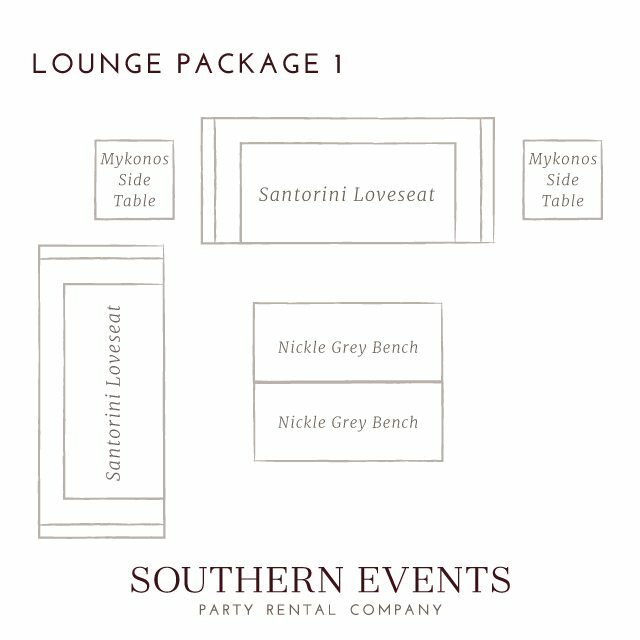 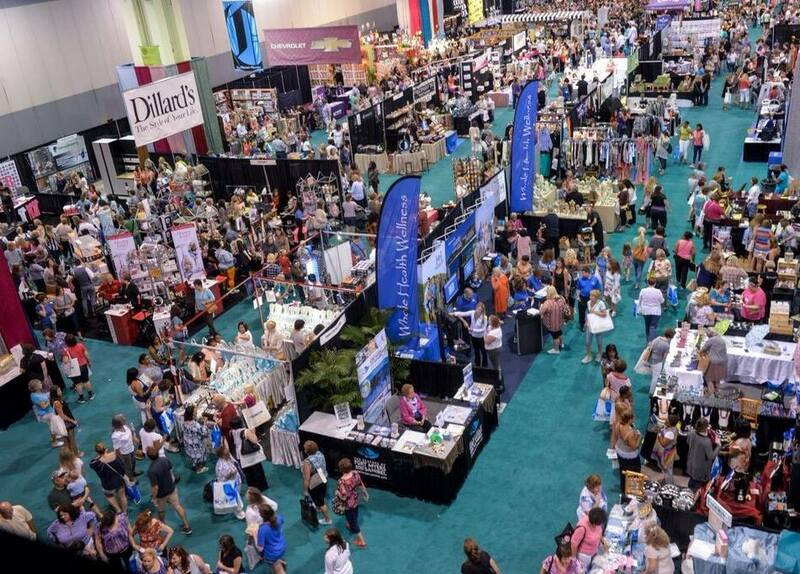 Lounges are now as essential to events as tables & chairs. 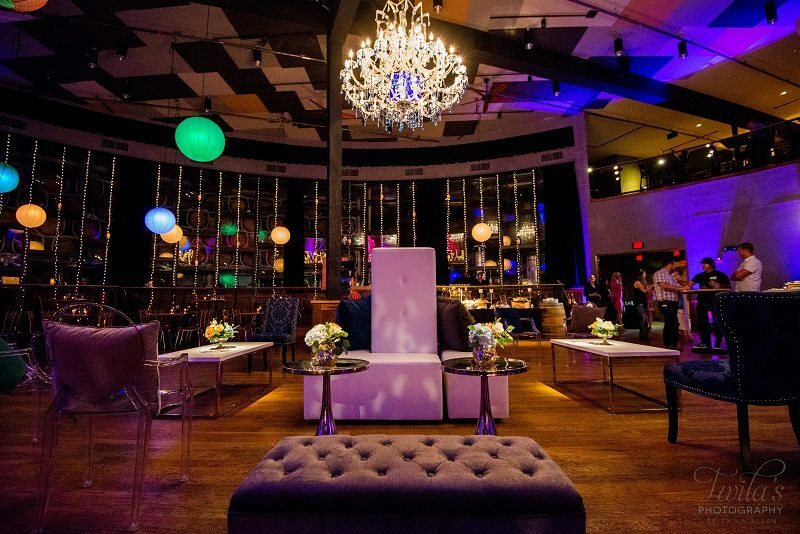 The trend towards a sleek and sophisticated space at corporate events, social galas, or glam weddings is making Modern Lounges popular in event design. 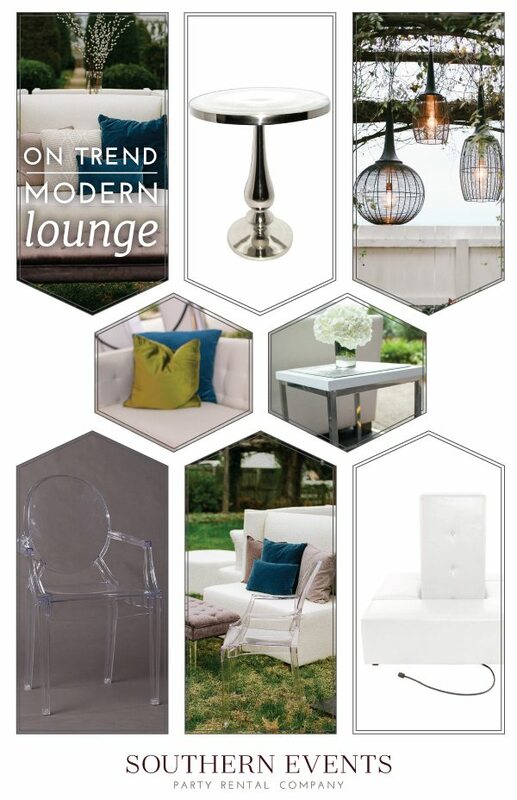 Chrome accents and clean lines accompanied with bright white seating give any lounge area a modern ambiance while still maintaining a professional look. 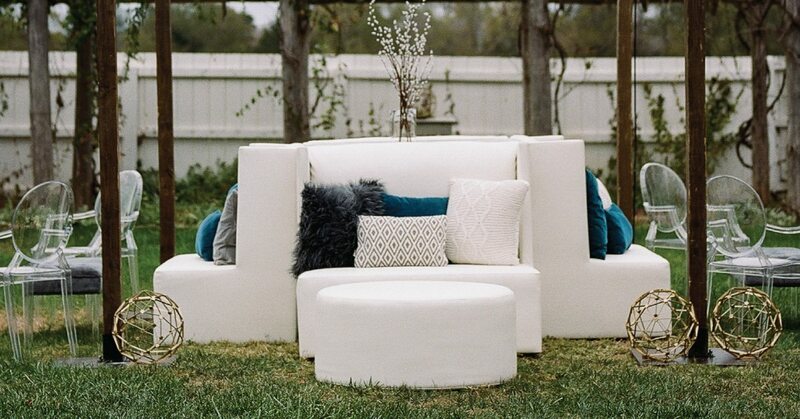 We love how lounges create intimate spaces at events for guests to relax, for couples to snuggle and for attendees to socialized. 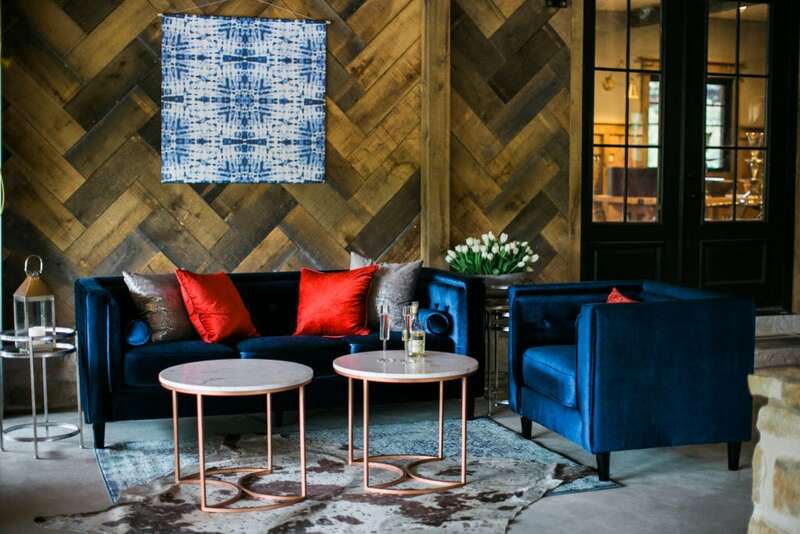 Want your next meeting to inspire with these modern designs? 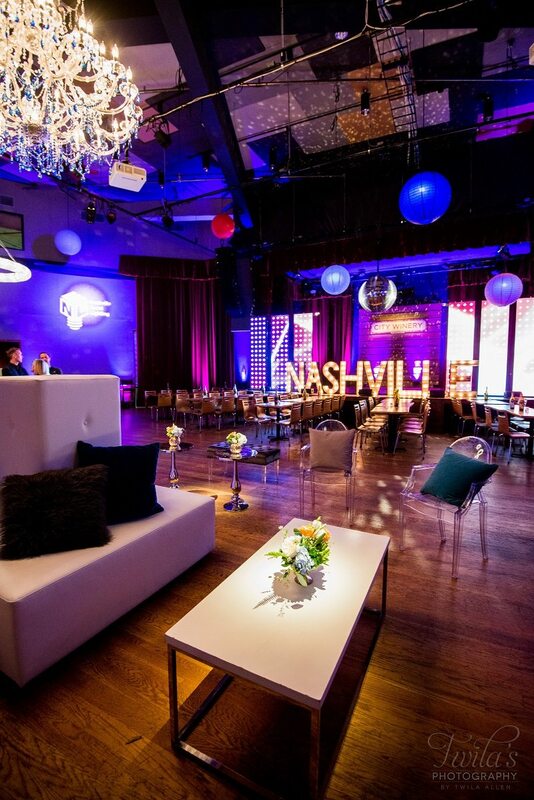 Contact our team about rentals for a Modern Lounge event at info@southerneventsonline.com.